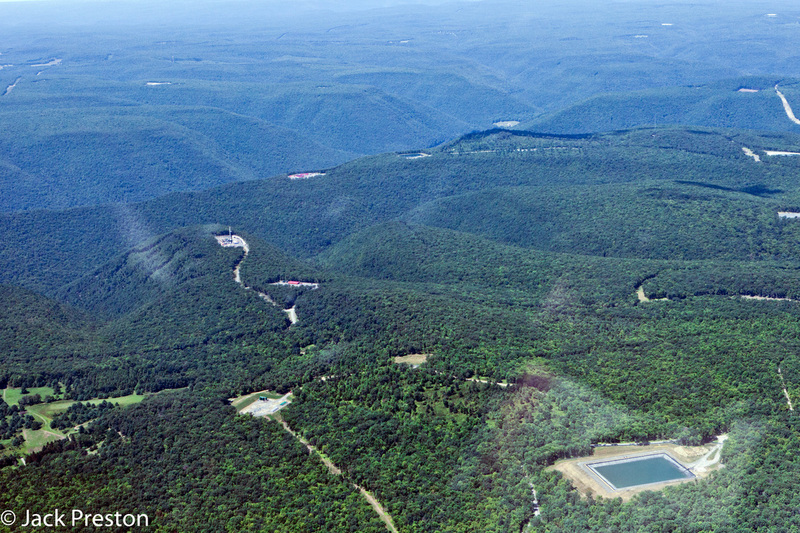 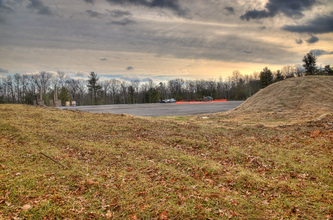 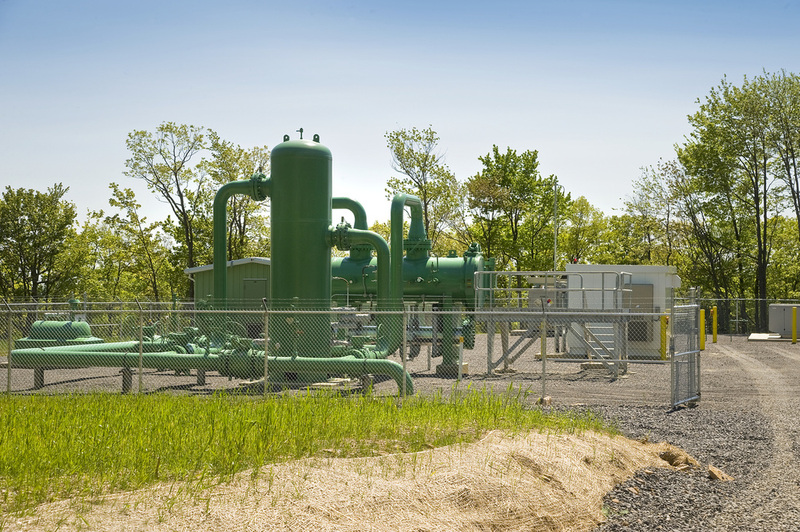 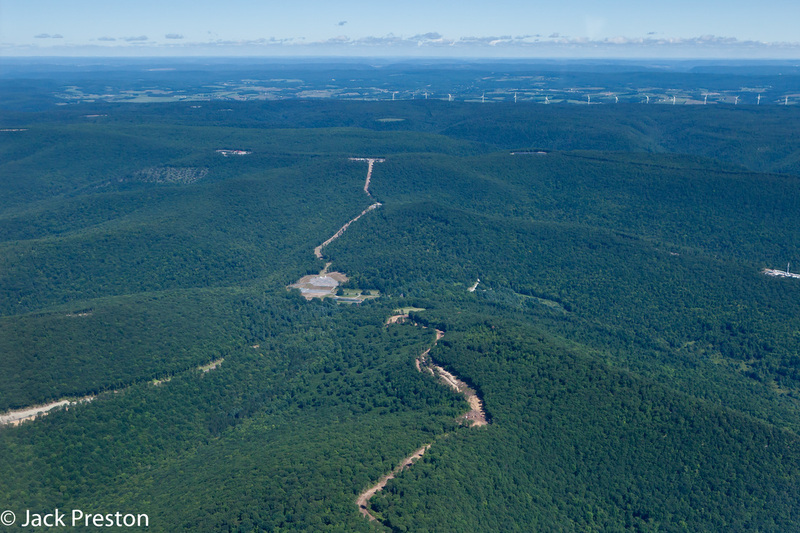 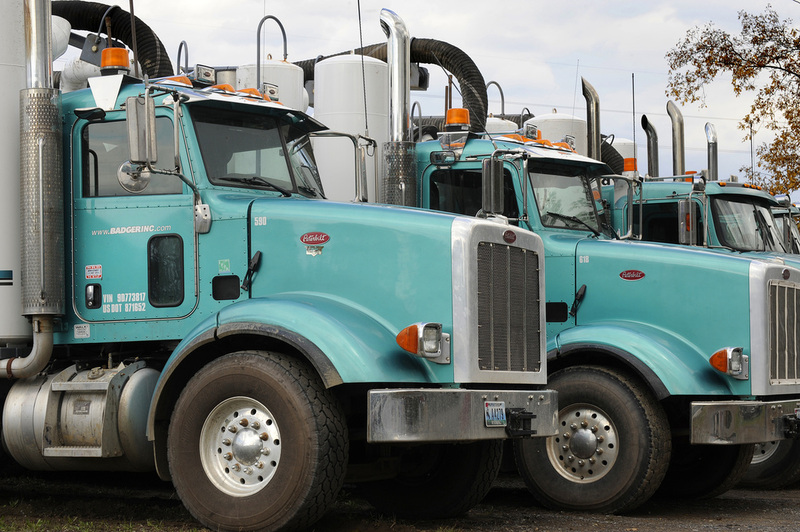 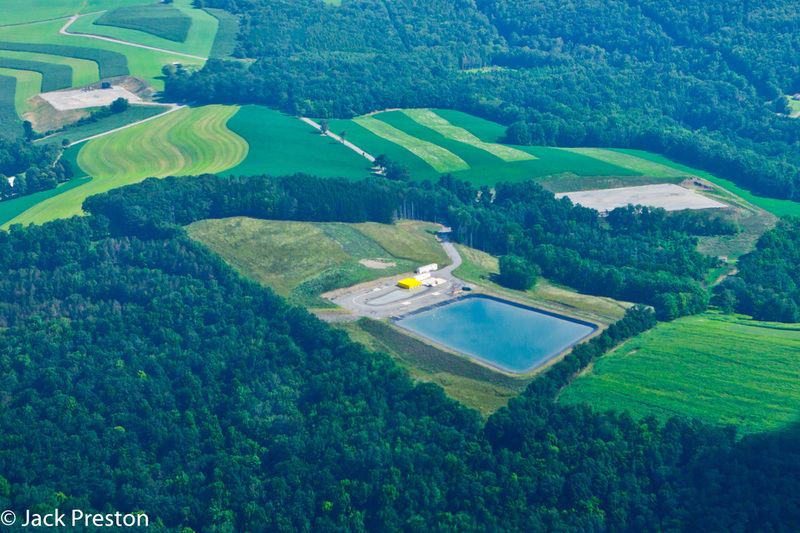 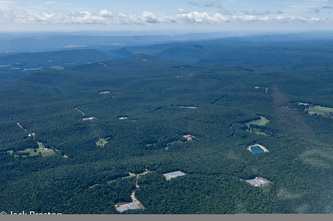 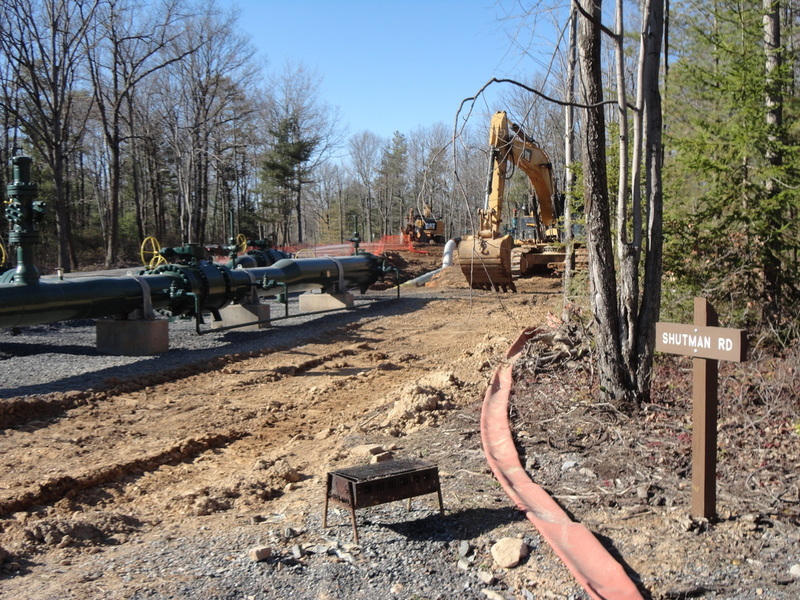 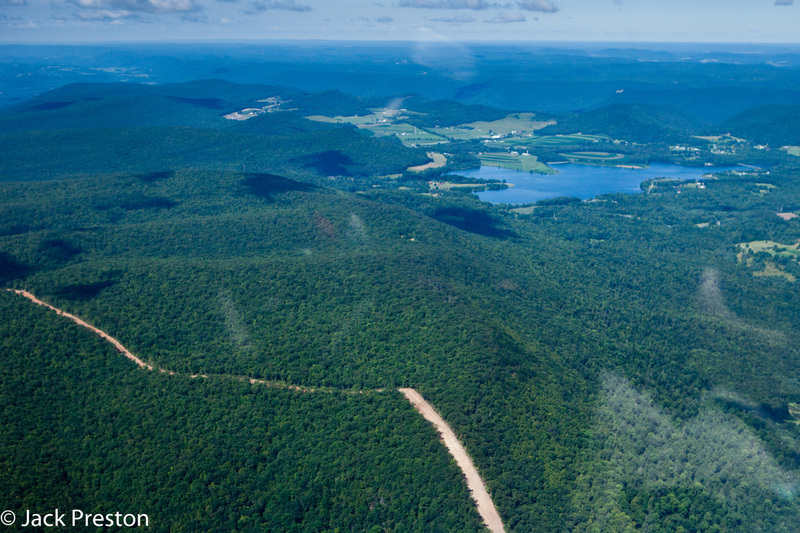 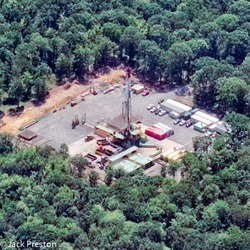 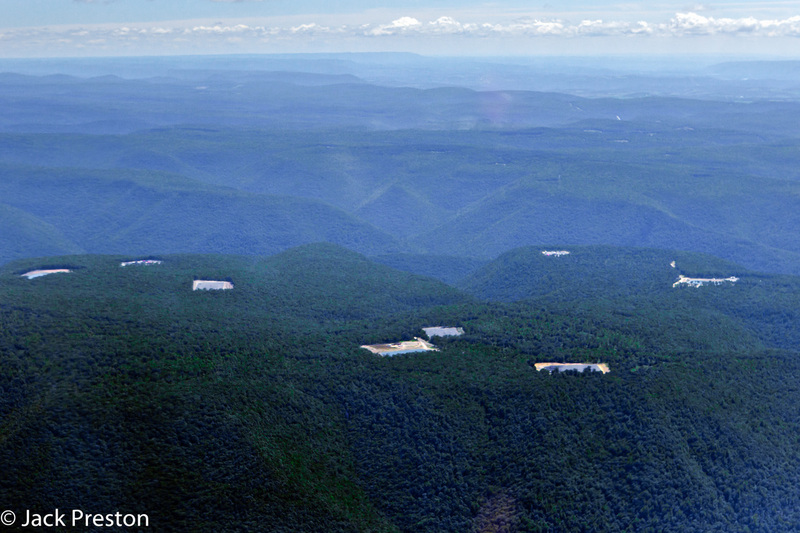 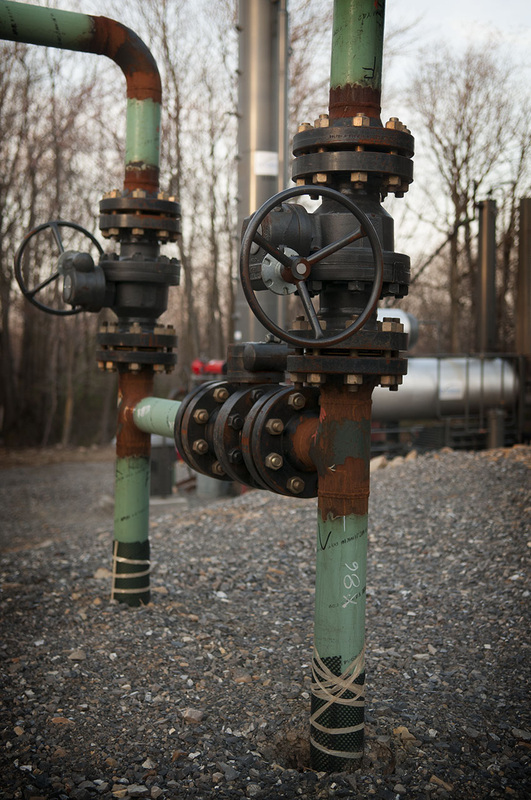 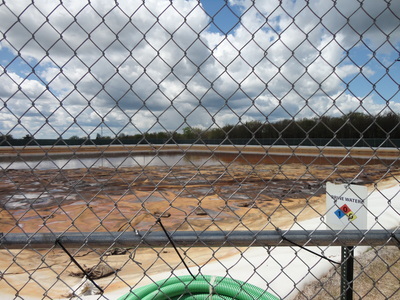 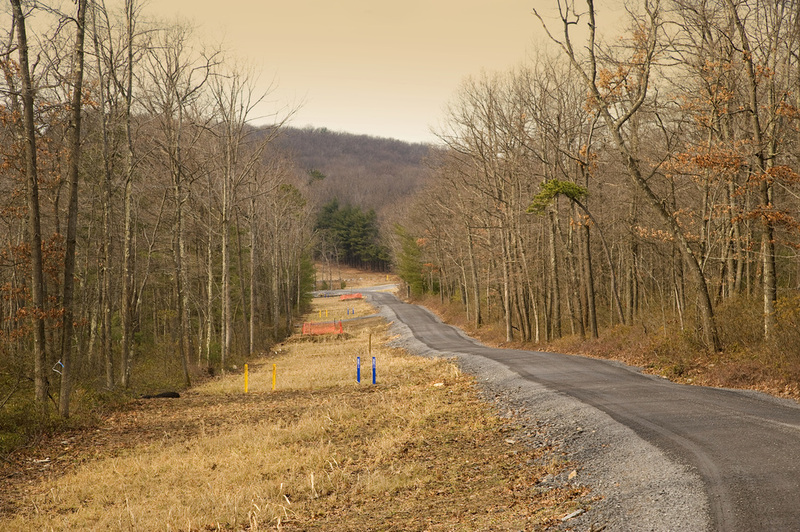 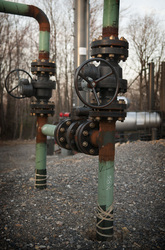 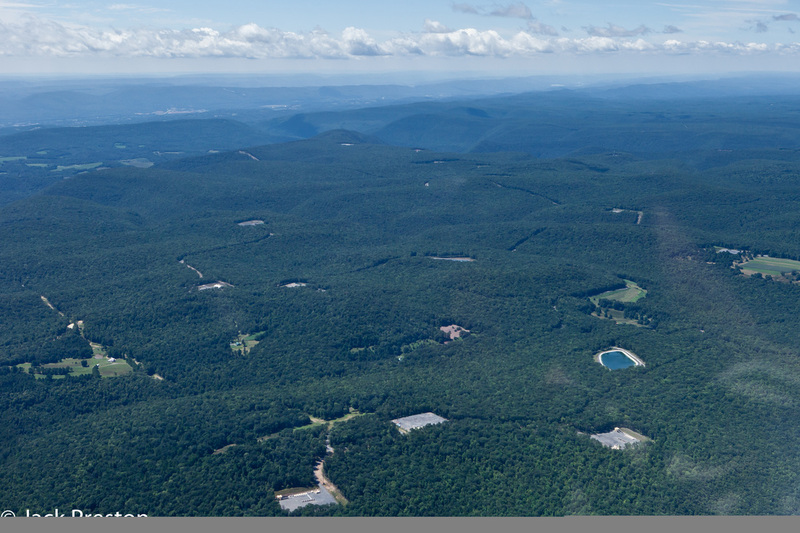 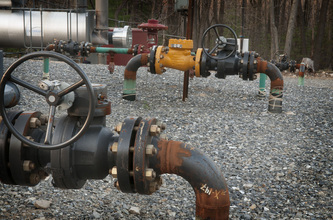 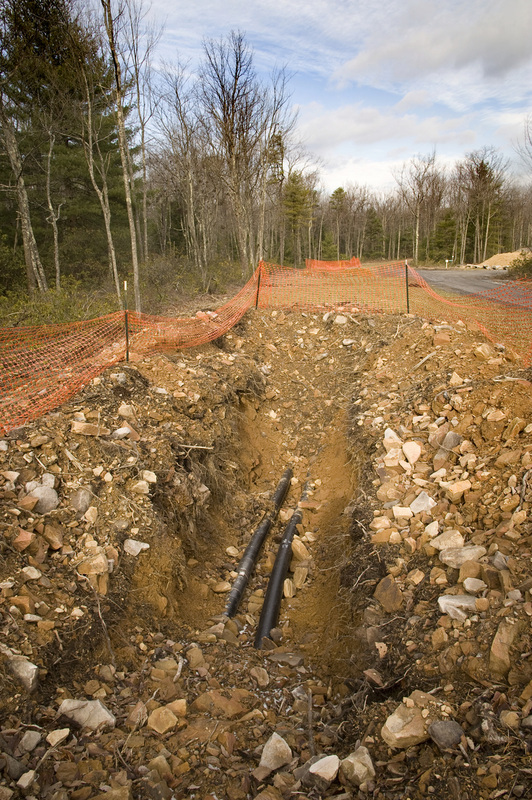 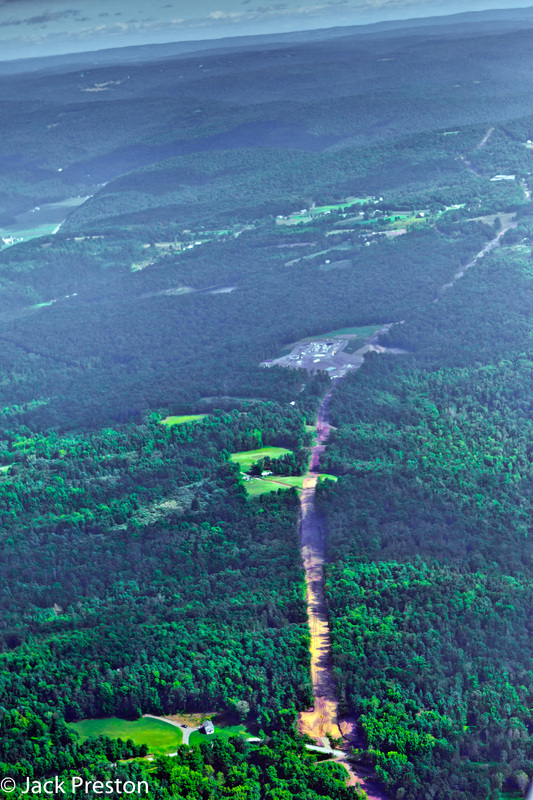 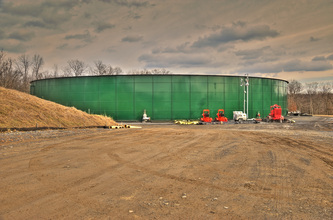 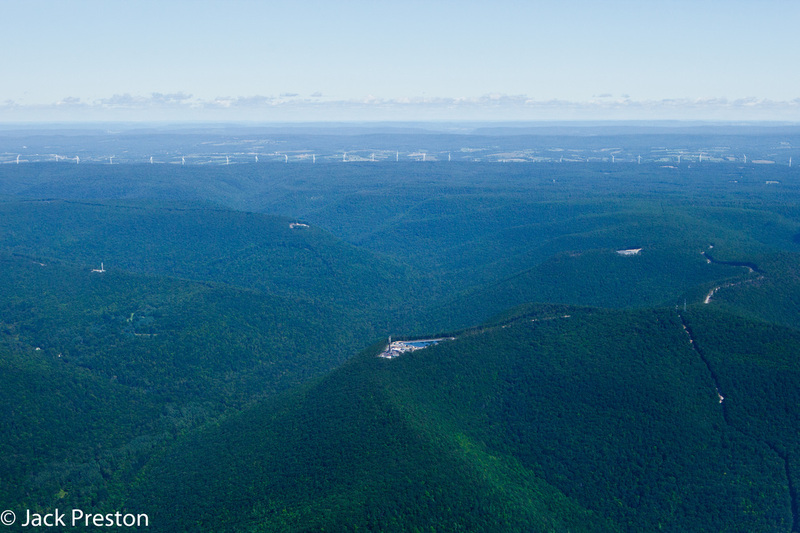 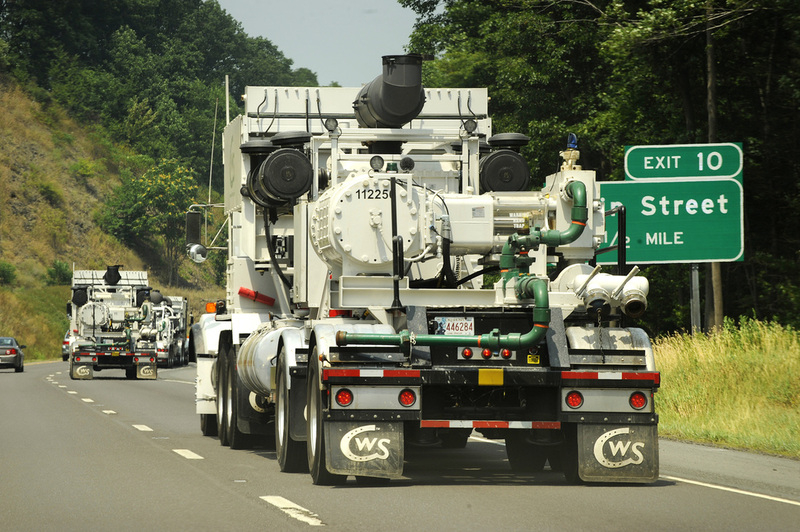 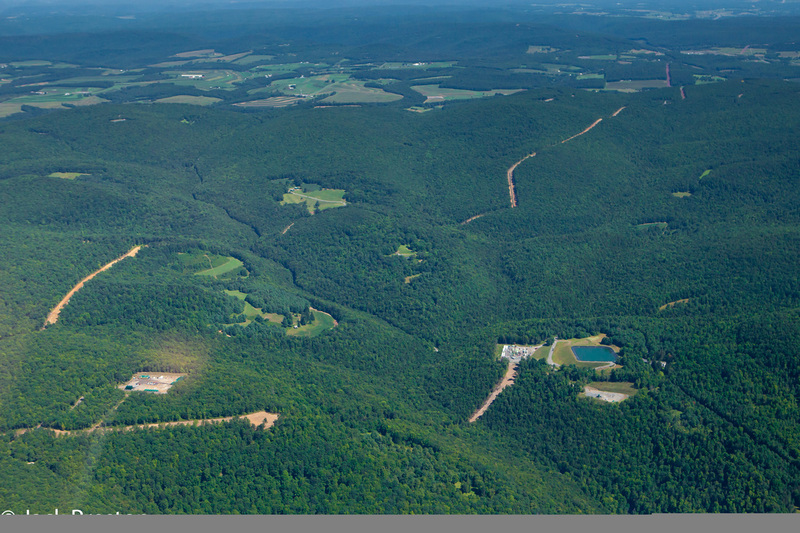 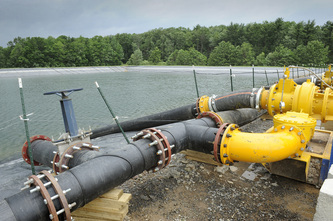 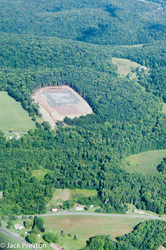 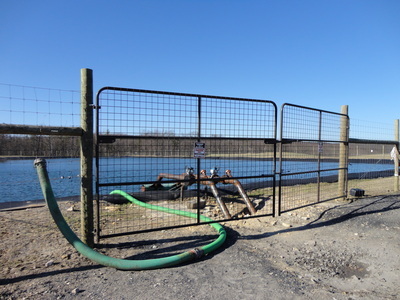 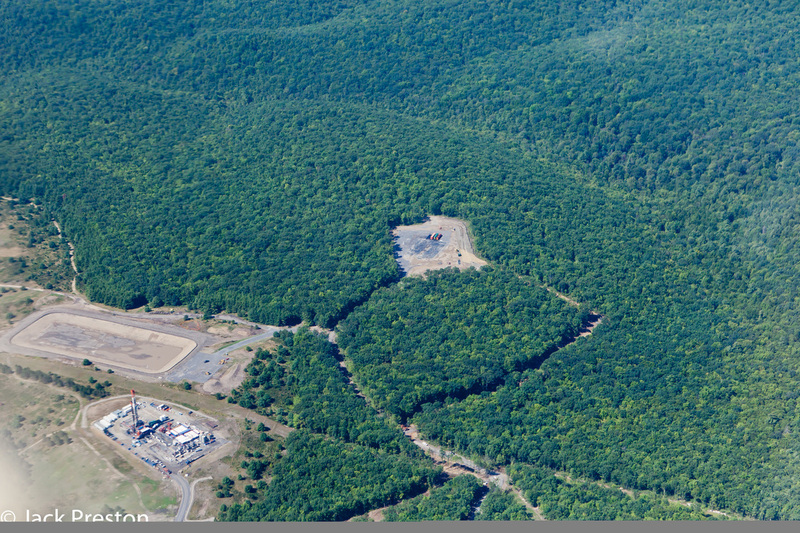 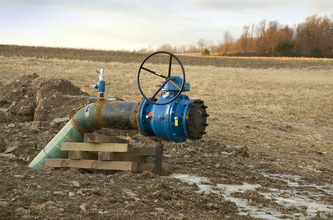 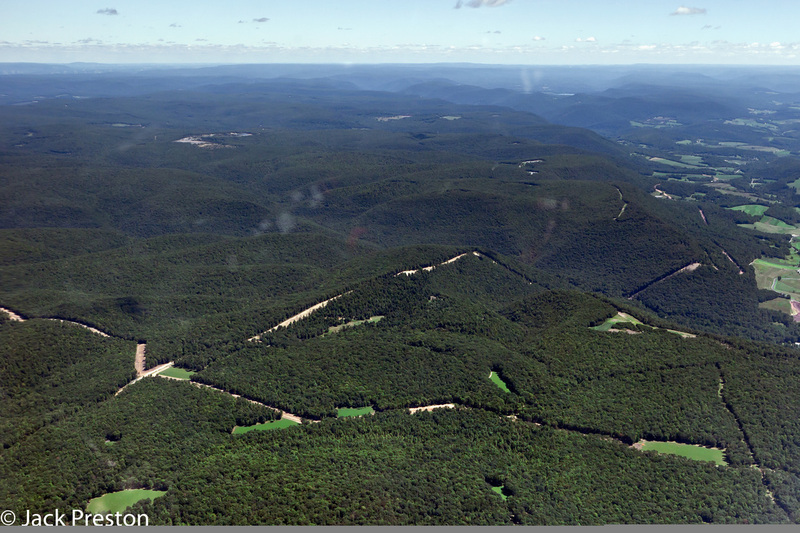 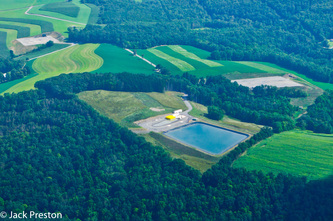 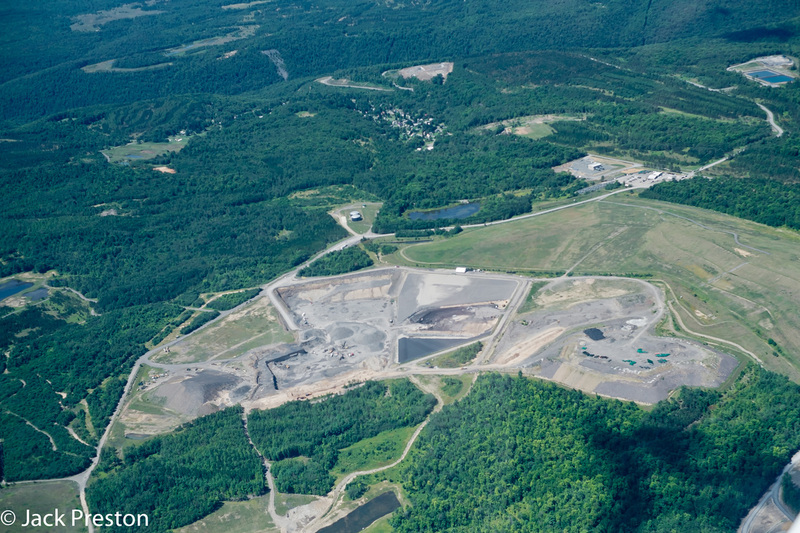 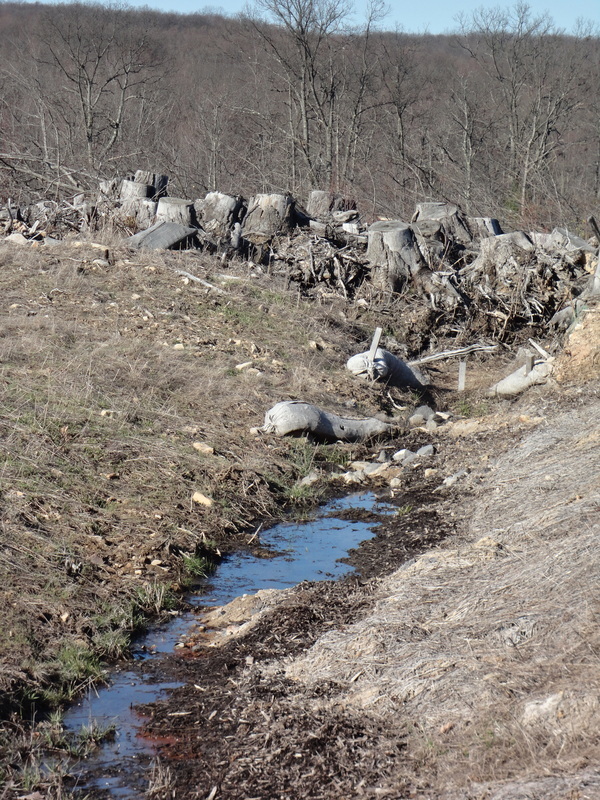 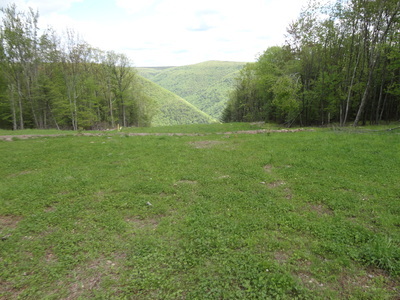 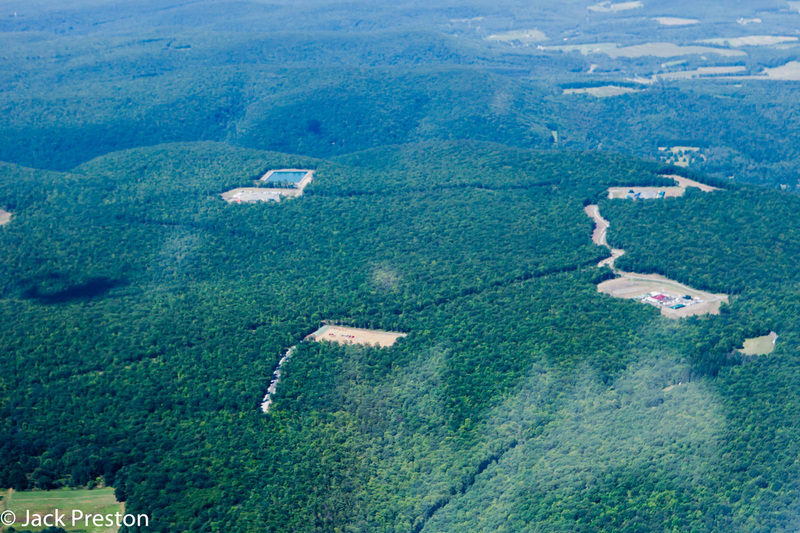 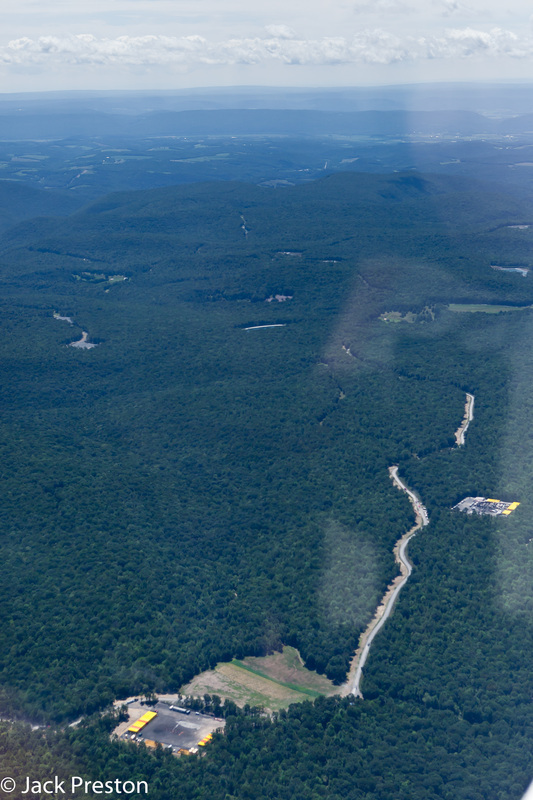 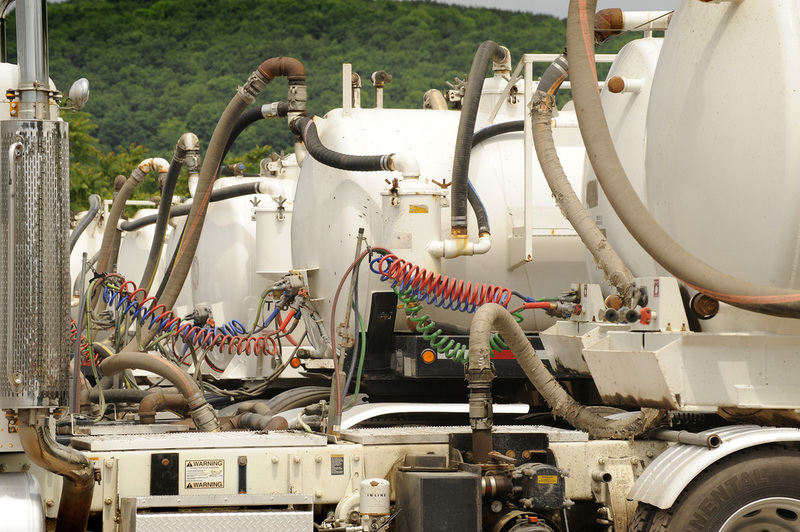 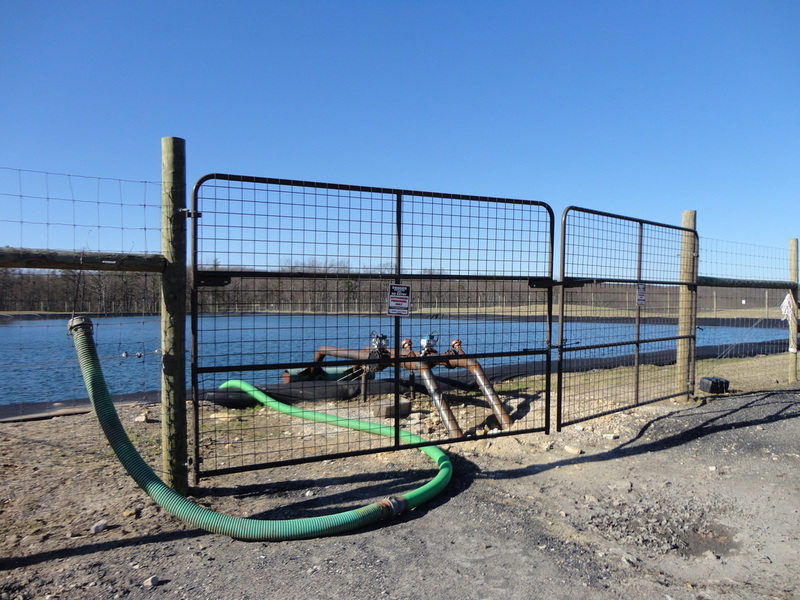 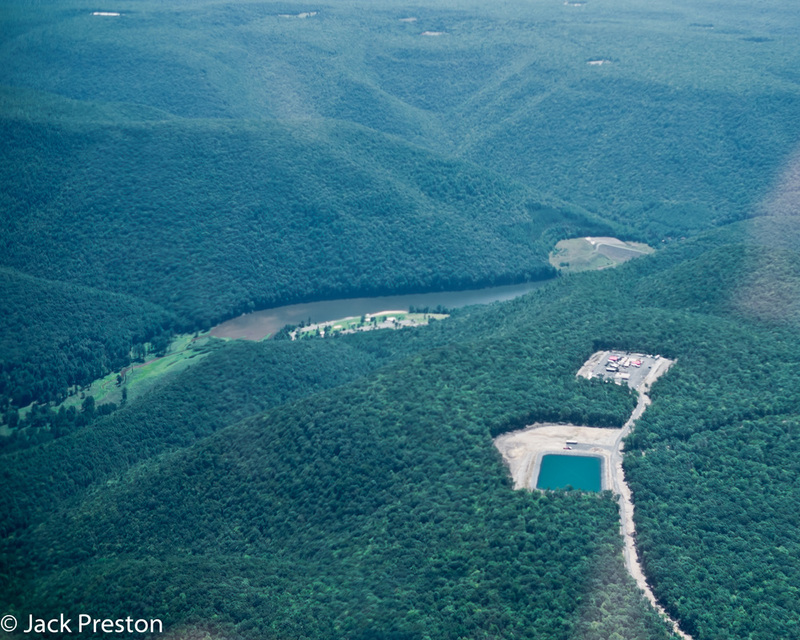 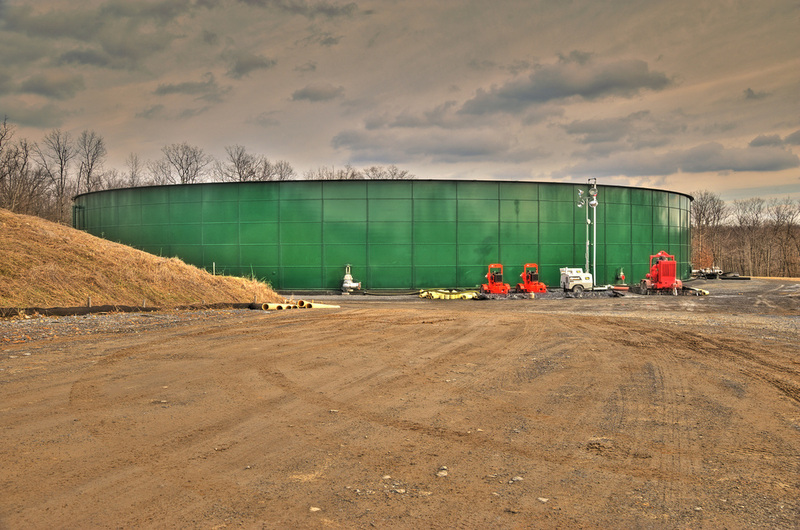 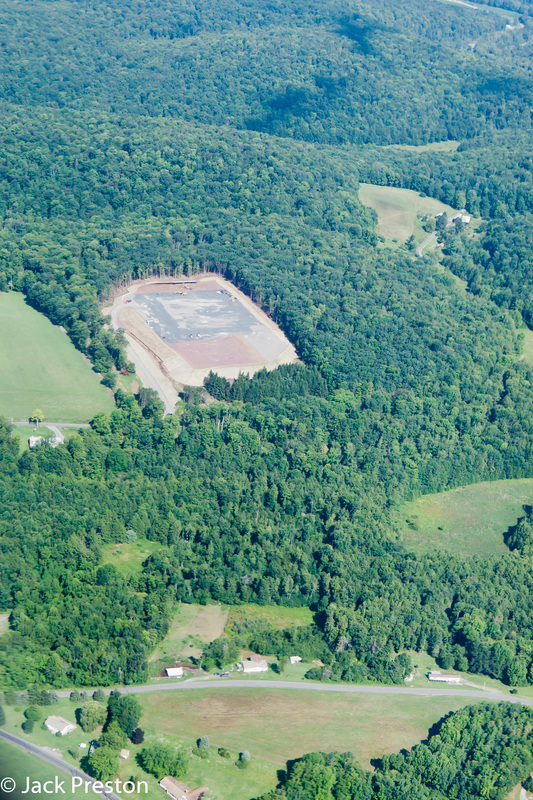 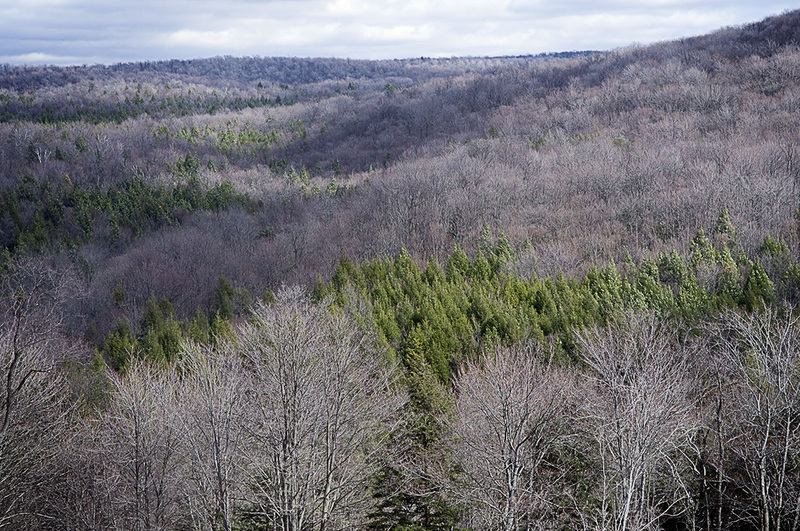 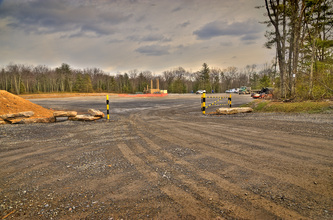 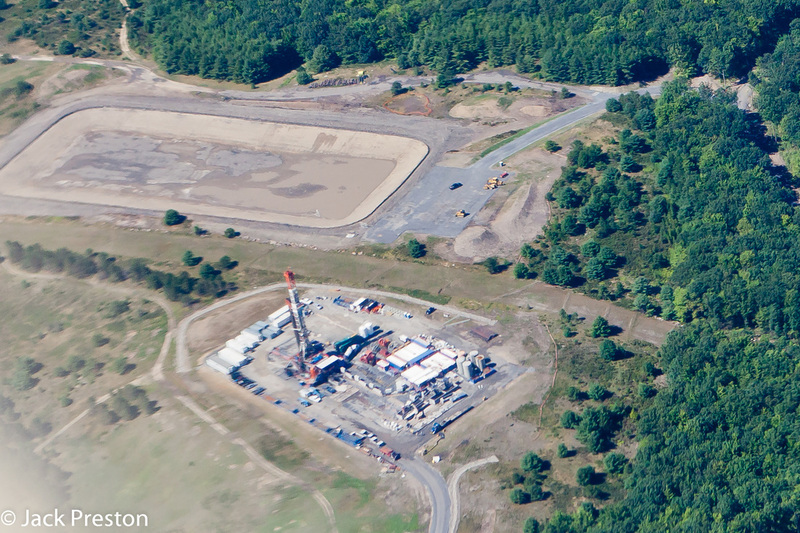 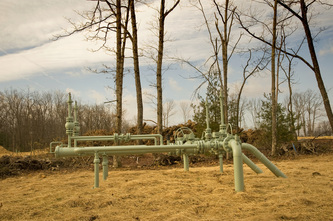 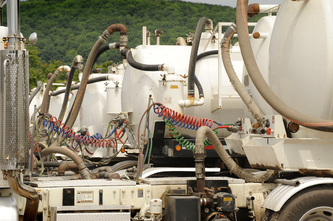 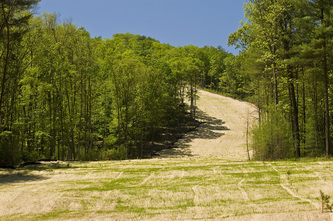 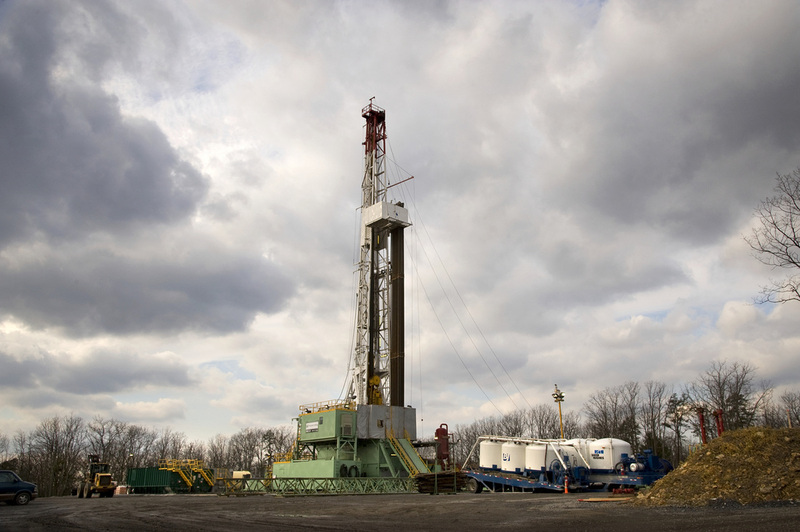 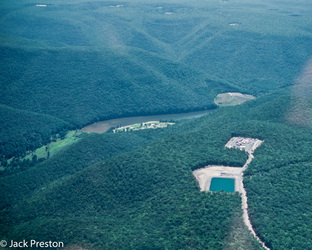 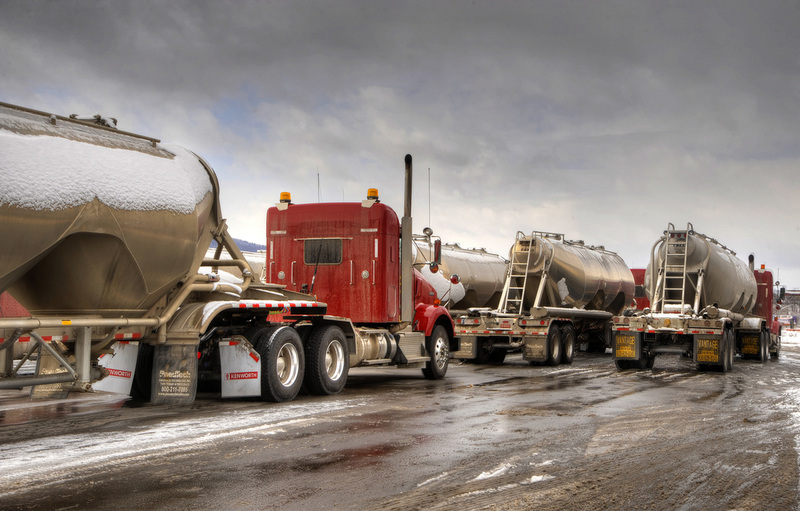 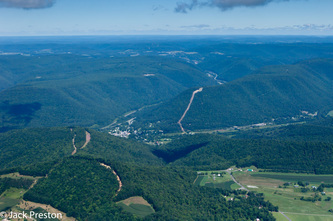 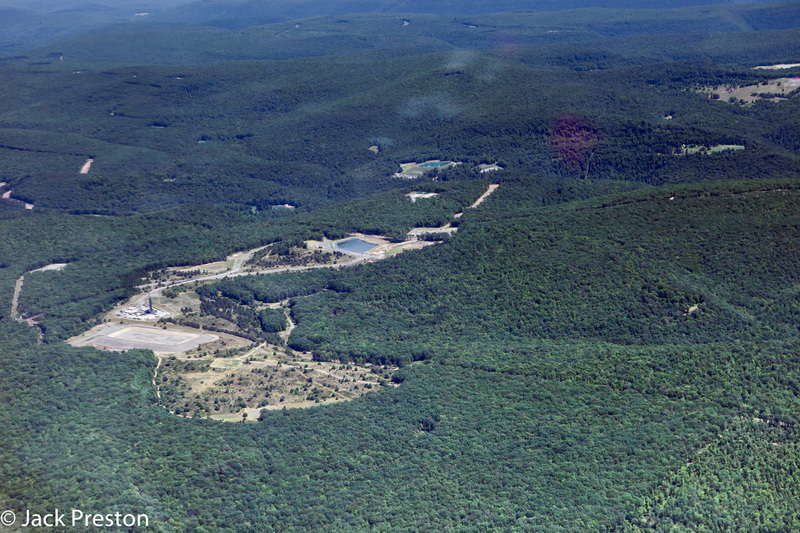 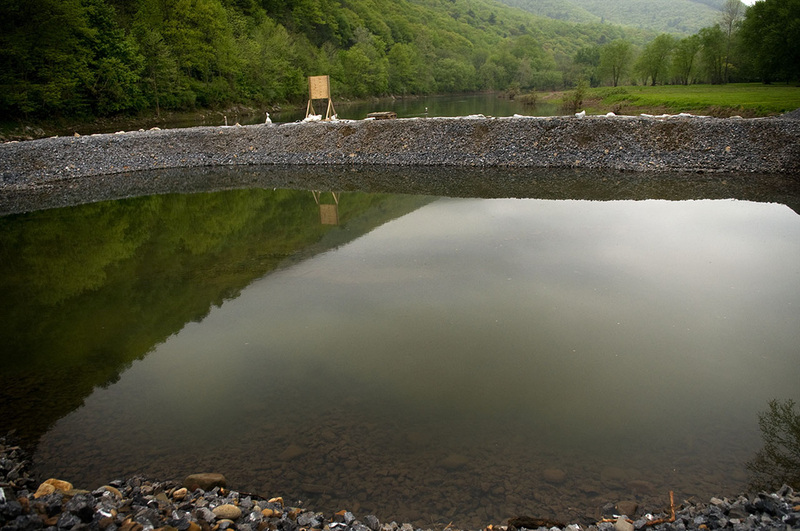 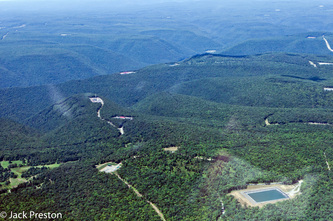 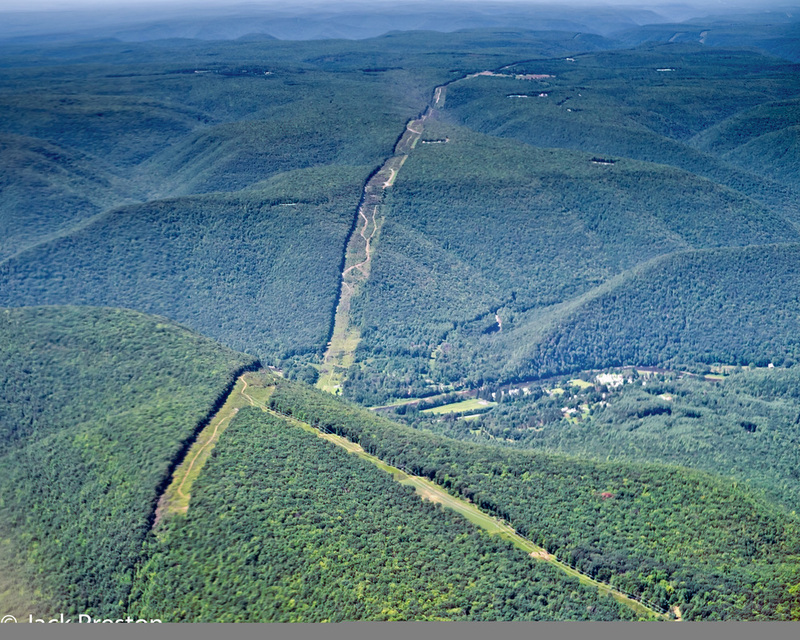 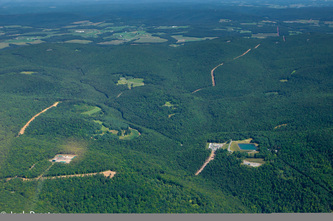 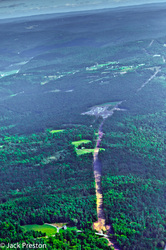 The effects on the landscape of the Marcellus Shale gas drilling industry are just beginning to be felt far and wide. 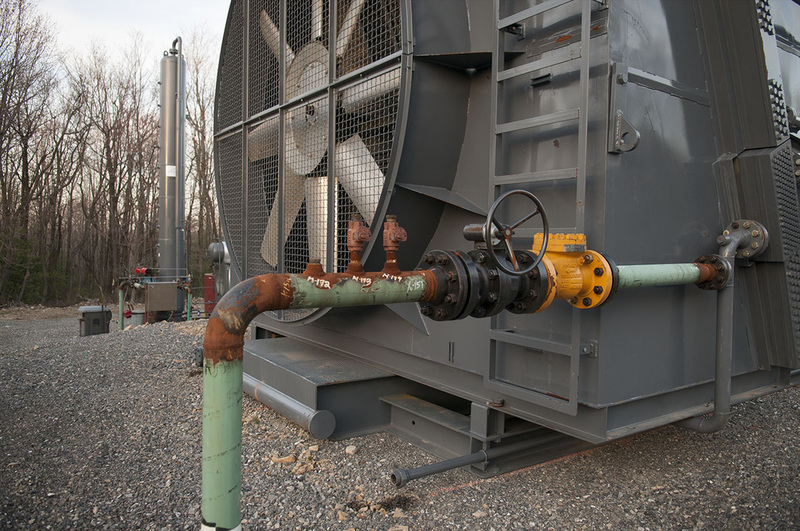 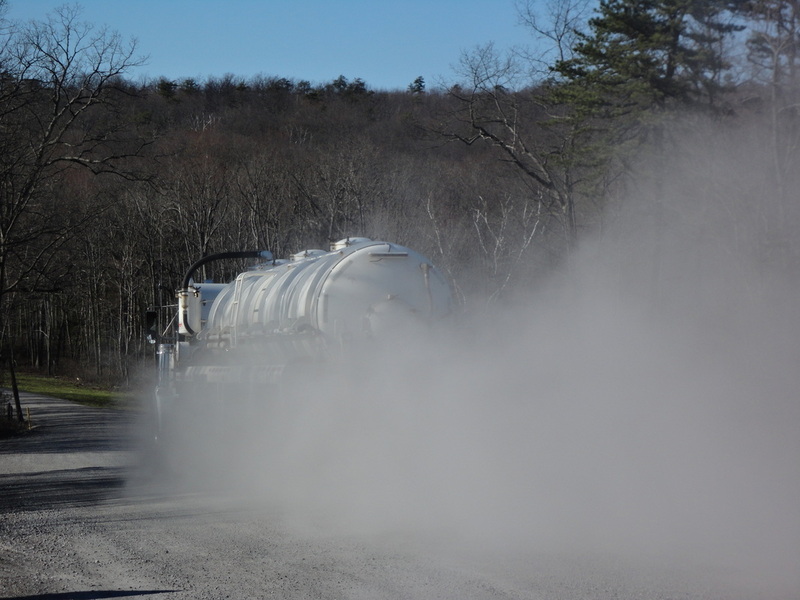 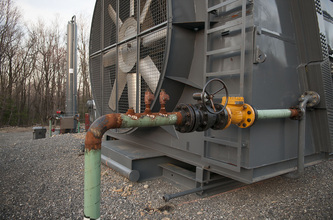 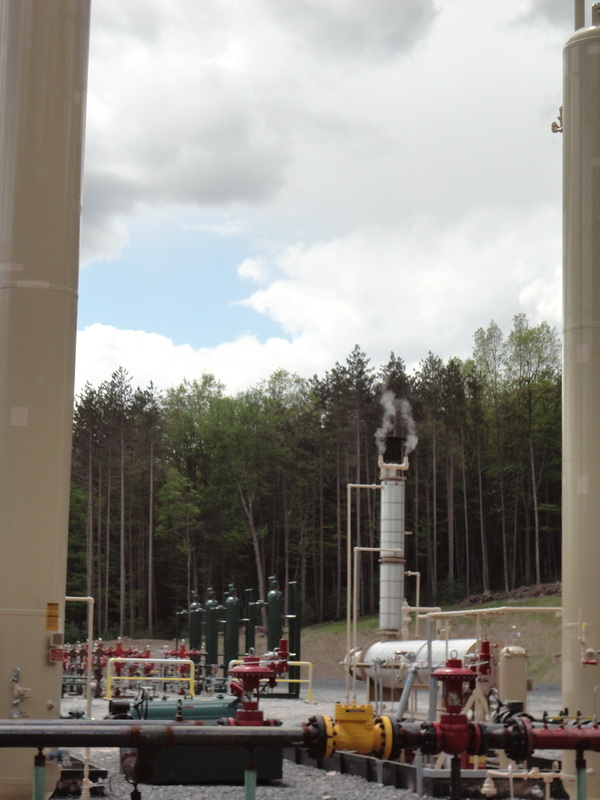 Well pads, compressor stations, water impoundments, storage buildings and staging areas are among the facilities salting our State Forests and the previously unbroken landscape. 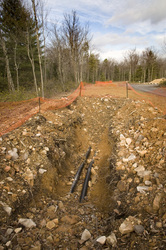 Connecting these facilities is and will be an increasing webwork of roads and transmission lines like never before seen. 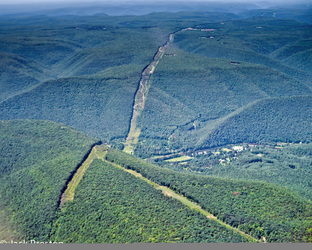 Please help in this effort to Save Our State Forests & Parks! In this Photo Gallery, we present both aerial and ground images of industry activity. 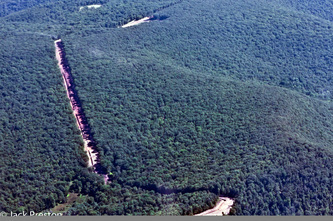 Now, you can only try to remember and imagine what it looked like before the industry came to these parts of the Forest. 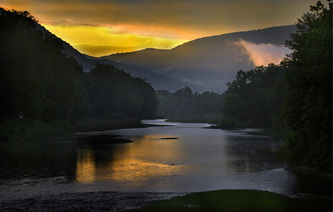 We are grateful to the following photographers for the use of their images and invite you to visit their websites. 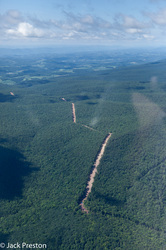 We also thank Jerry Walls for his role in obtaining the aerial photographs. For photo credit and caption, hover your cursor over the image. 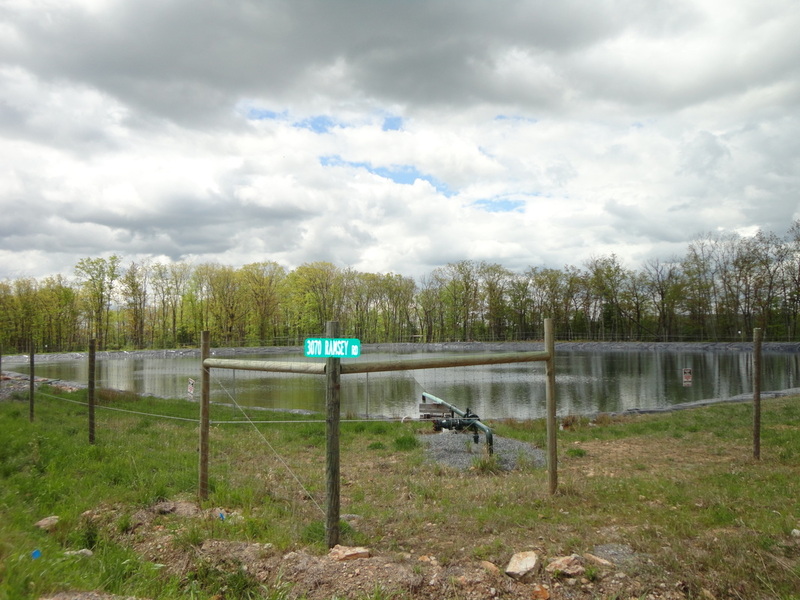 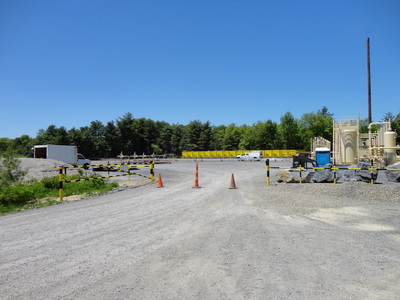 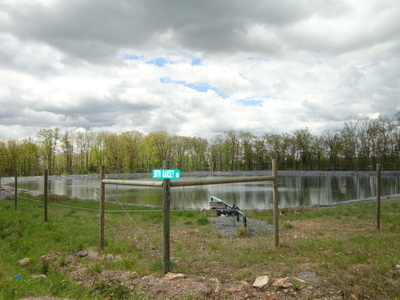 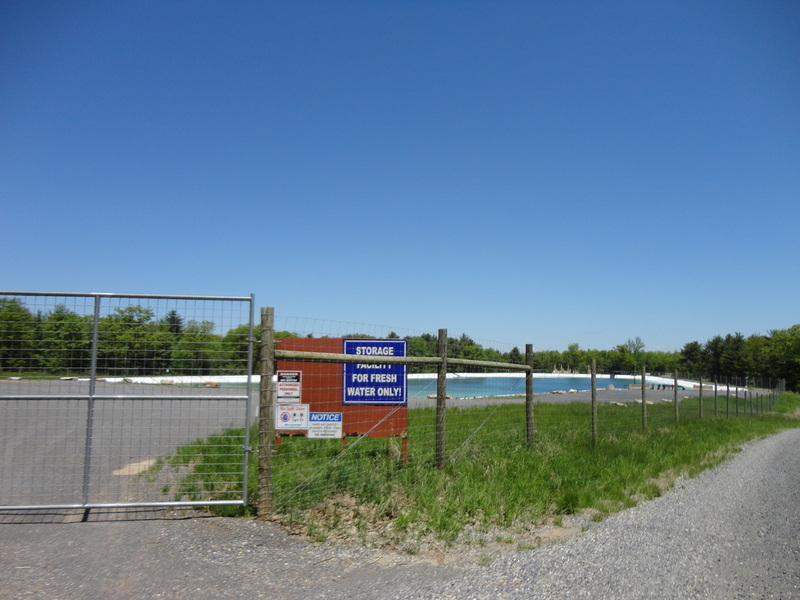 The following annotated photographs (taken mostly in spring 2014) were included with testimony by Cynthia Bower for PEDF's Commonwealth Court Hearing, May 28, 2014. All images were taken by her in the Waterville/Ramsey area of Pine and Little Pine Creeks, Tiadaghton State Forest, Lycoming County. 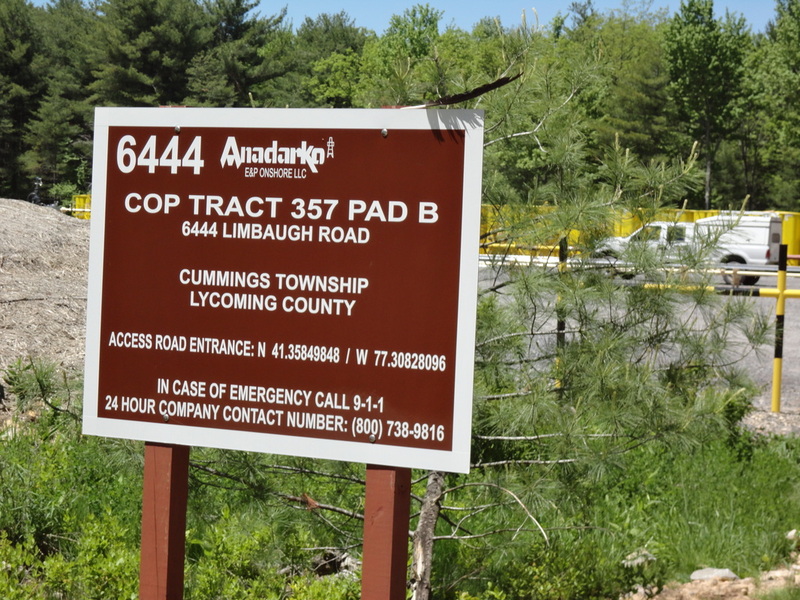 The DEP and FracTracker maps were not part of the testimony. 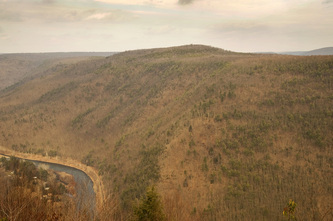 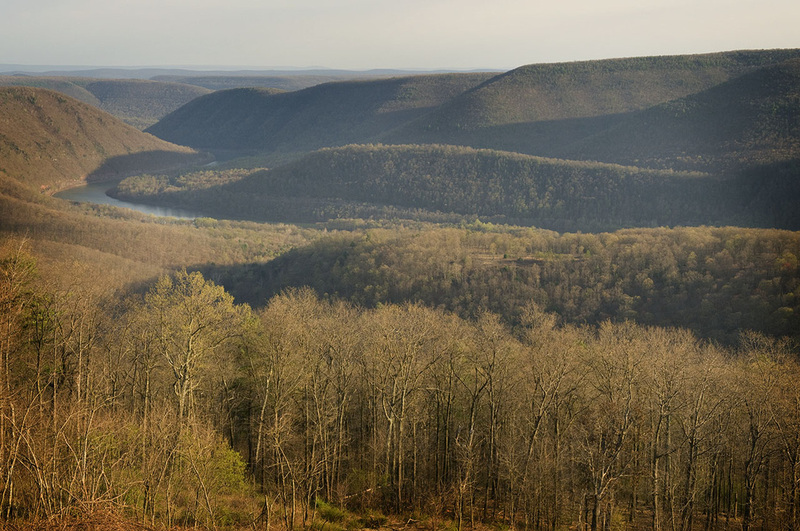 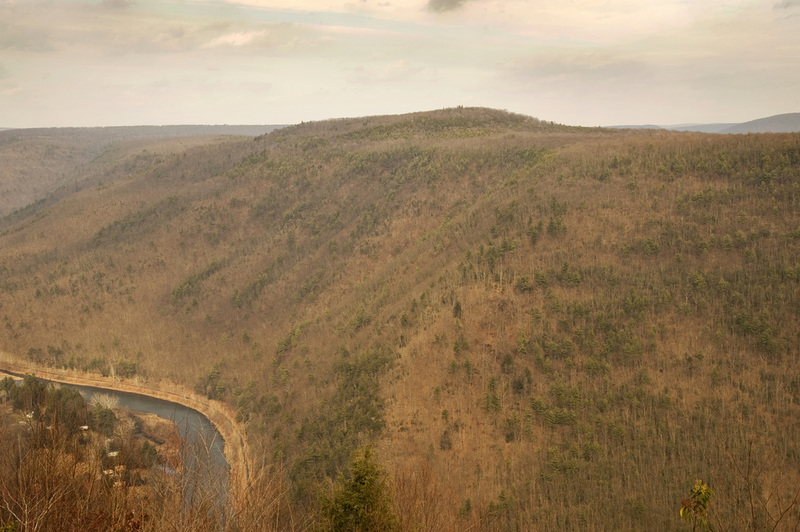 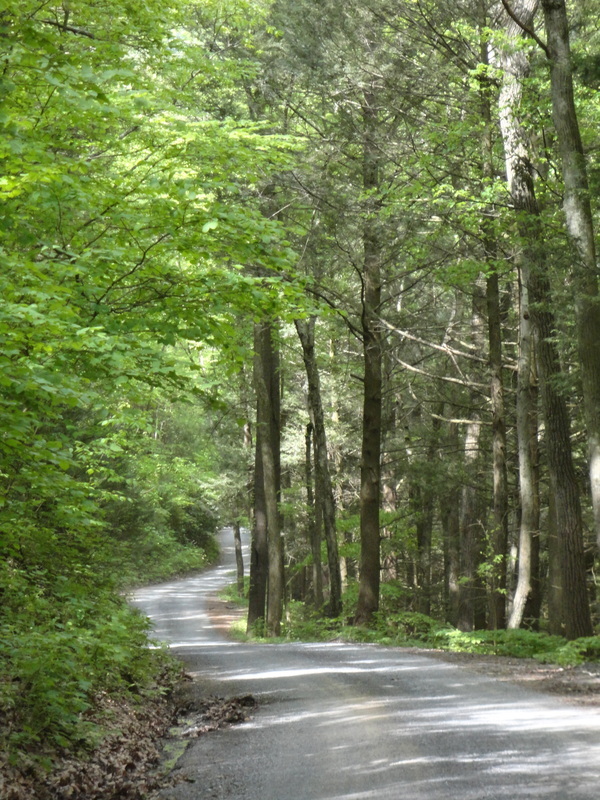 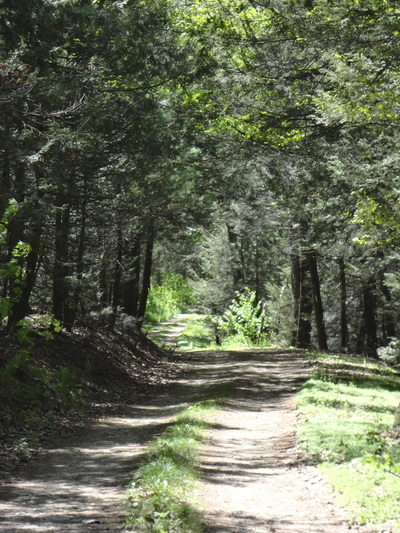 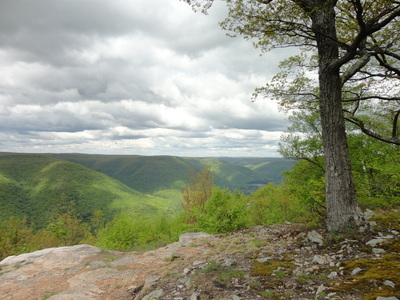 Extending through Pennsylvania from Maryland to New York State, the Mid-State Trail (MST) is a popular and spectacular 300-plus mile hiking trail that was developed and is maintained by volunteers. 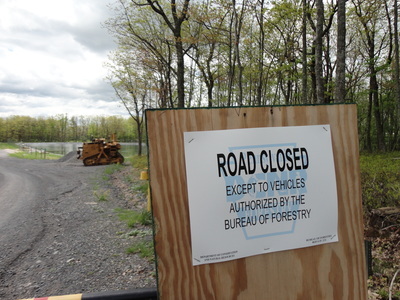 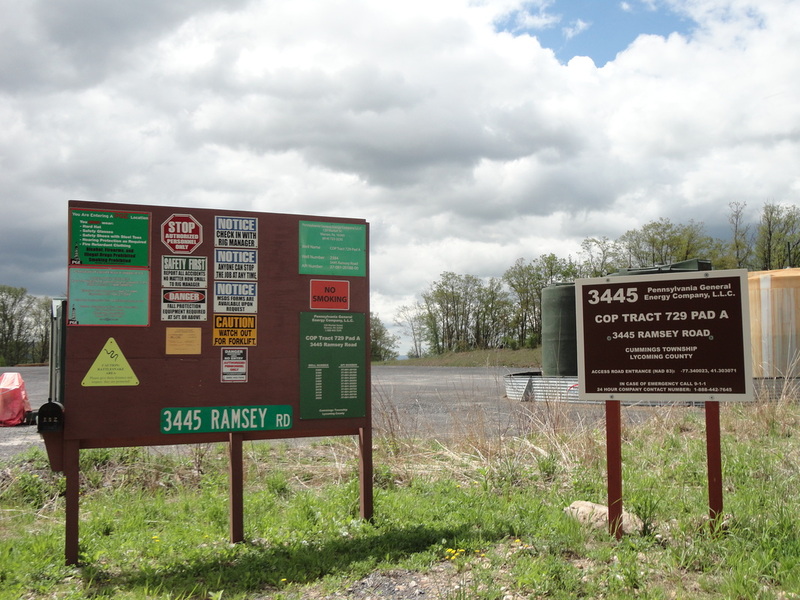 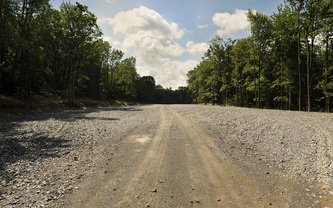 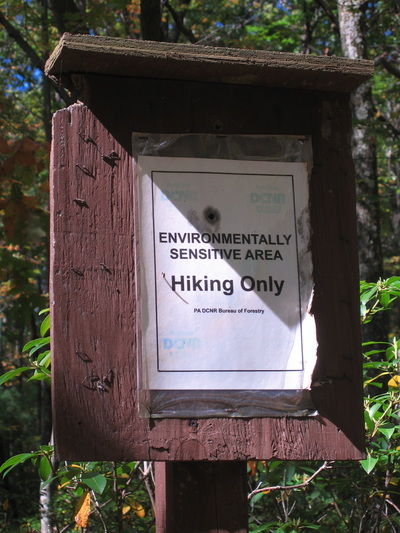 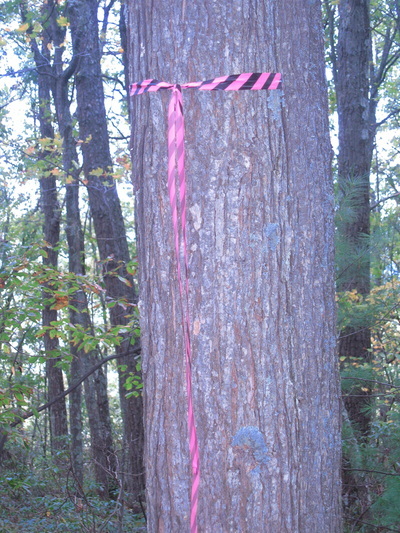 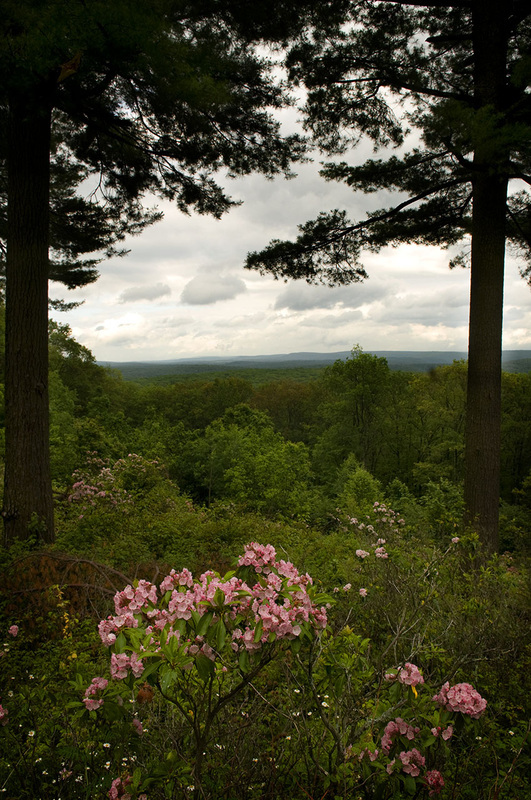 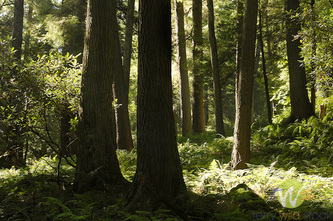 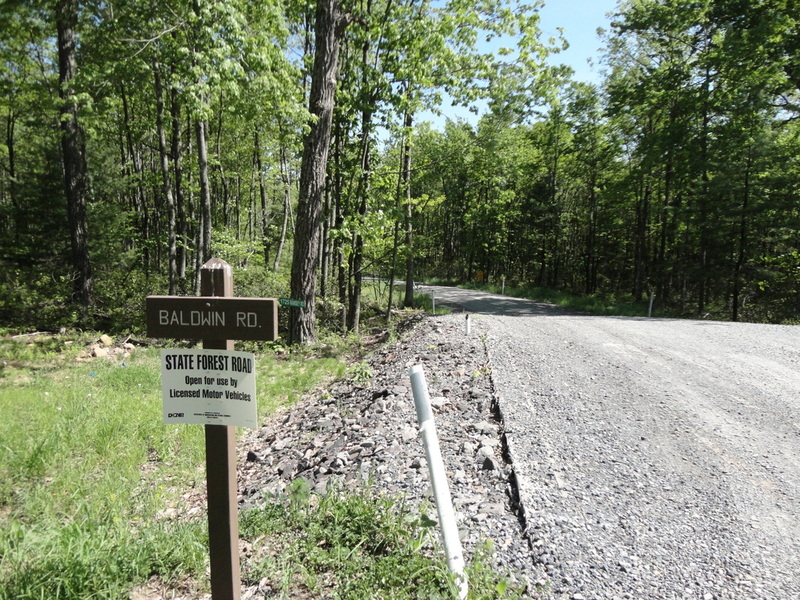 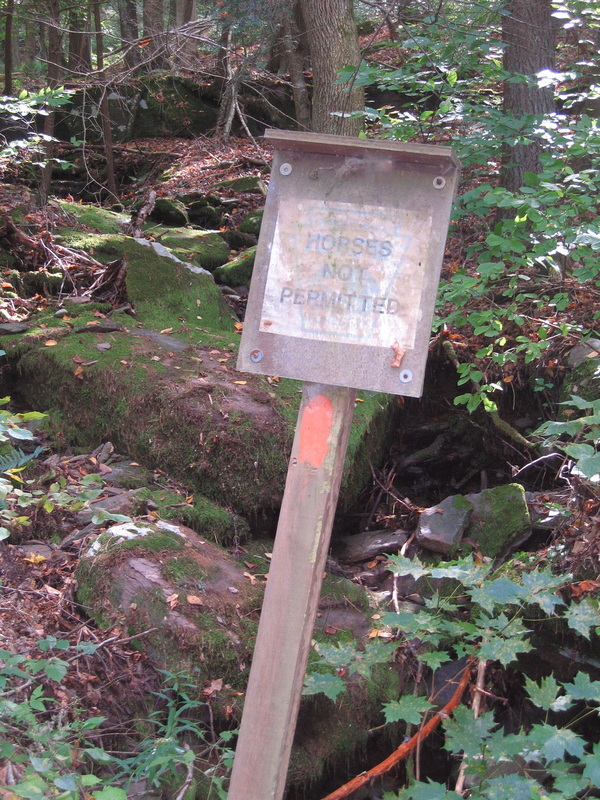 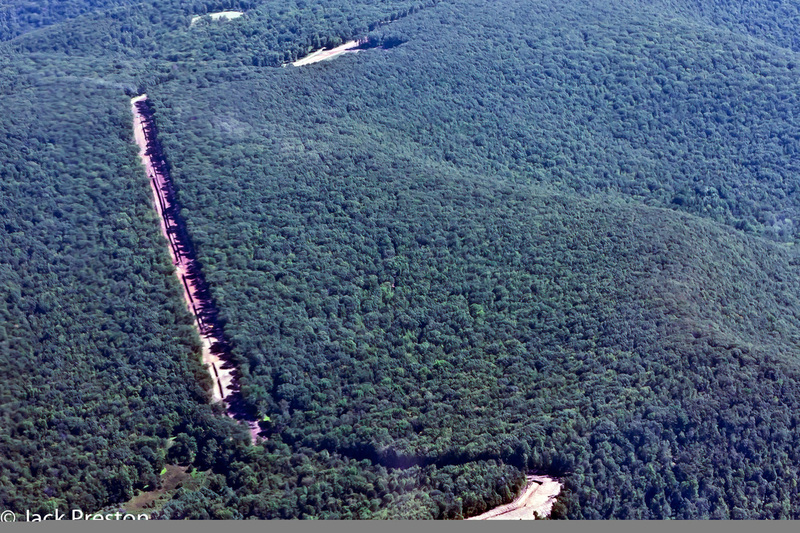 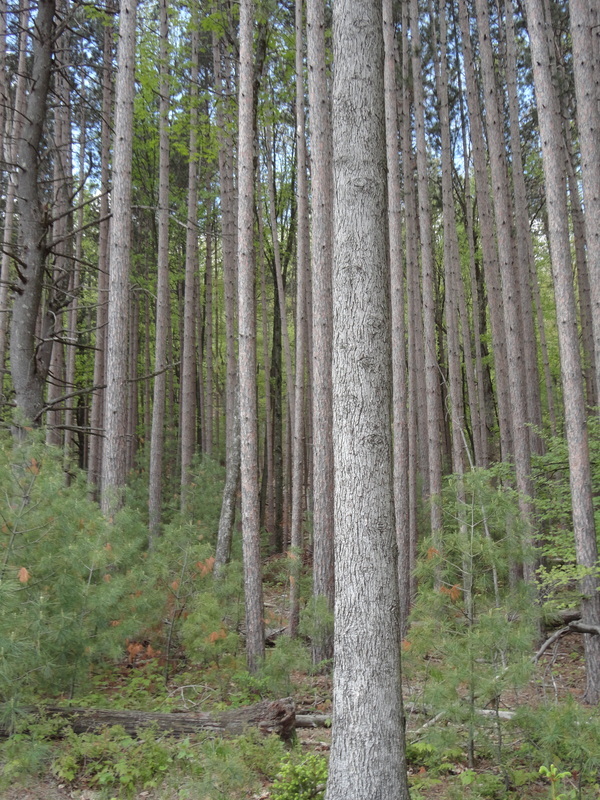 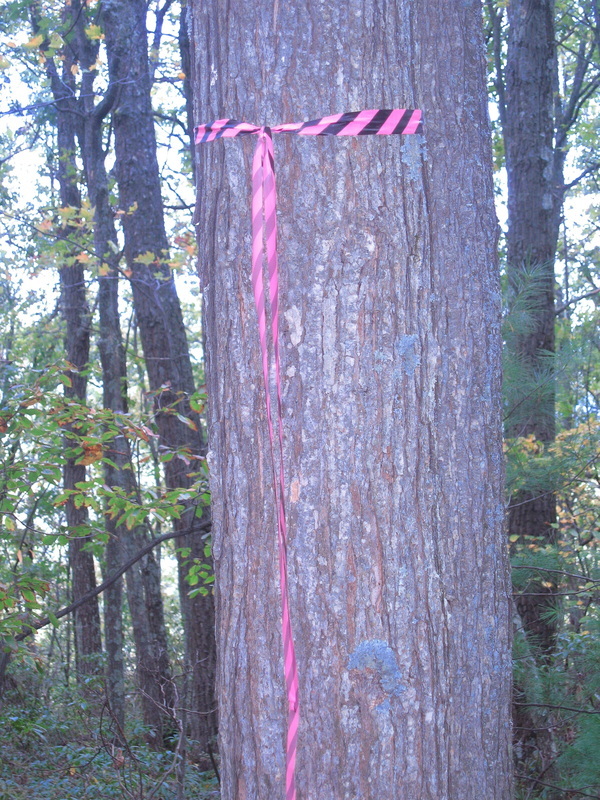 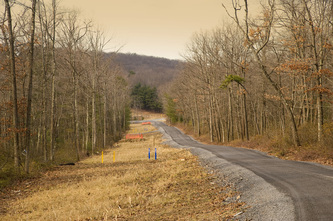 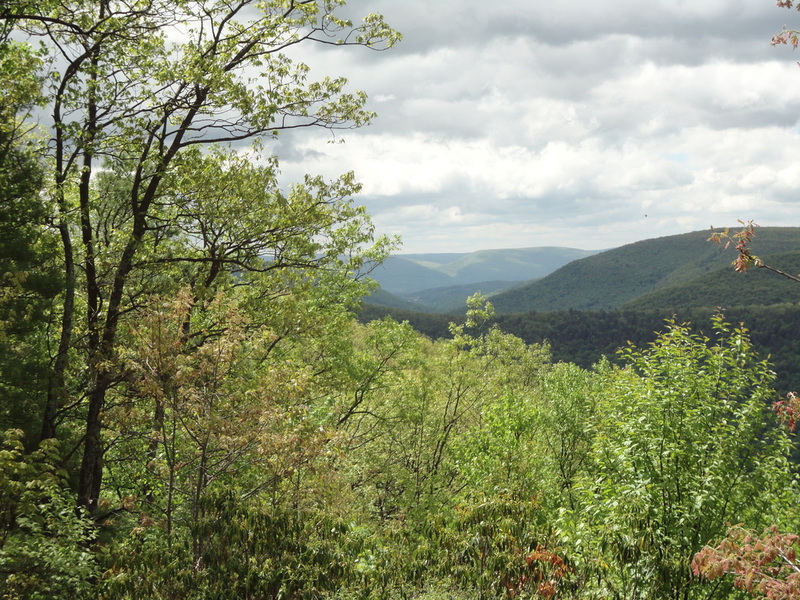 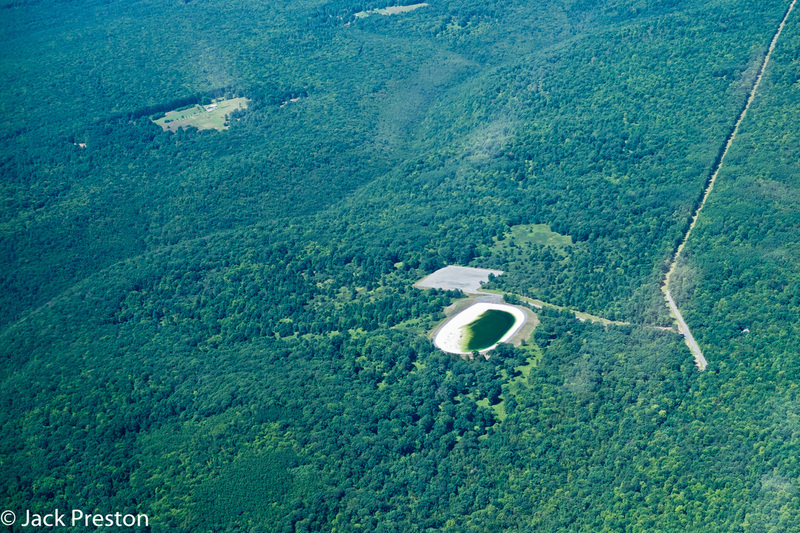 In the Ramsey Road area of the Tiadaghton State Forest, part of the MST had to be relocated due to industry development in an "Environmentally Sensitive Area - Hiking Only." 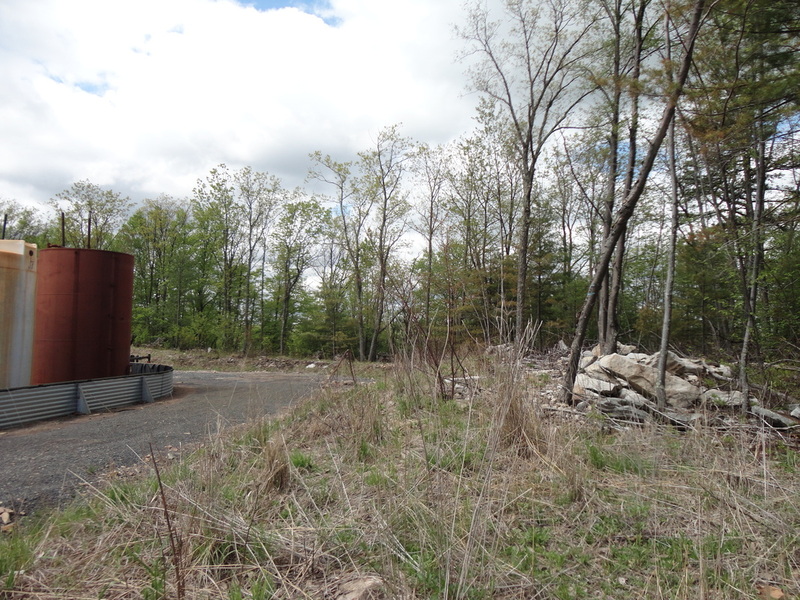 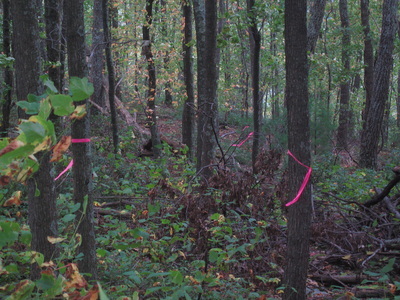 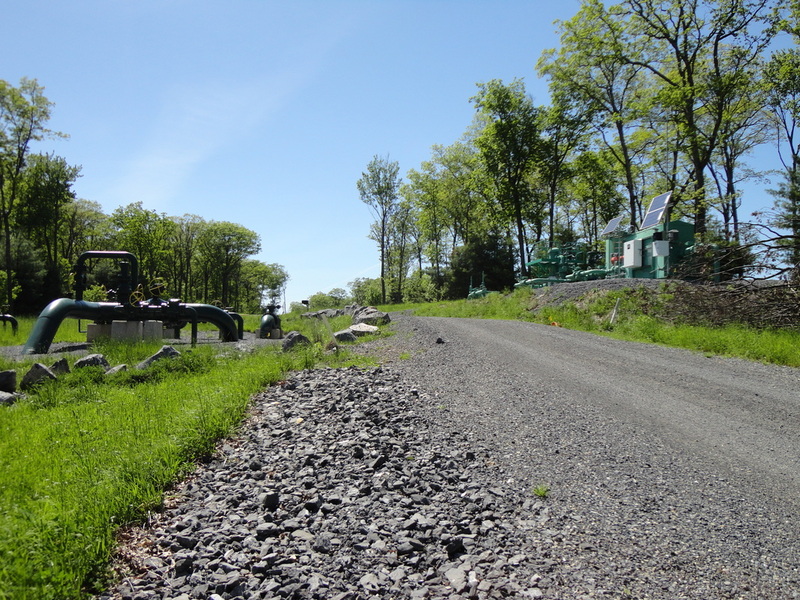 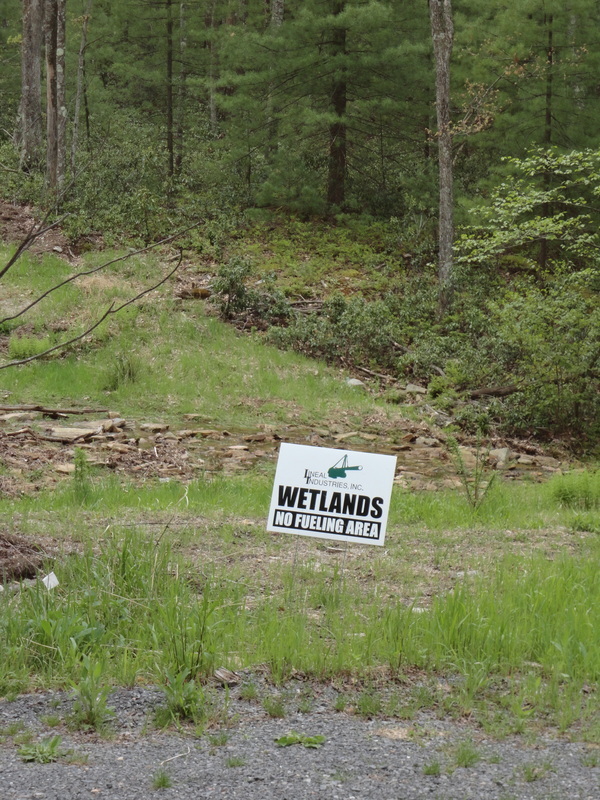 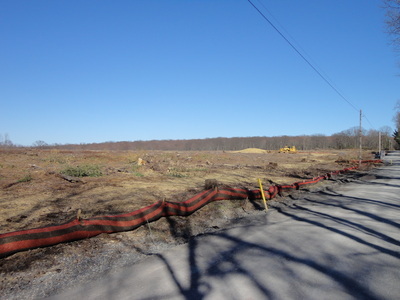 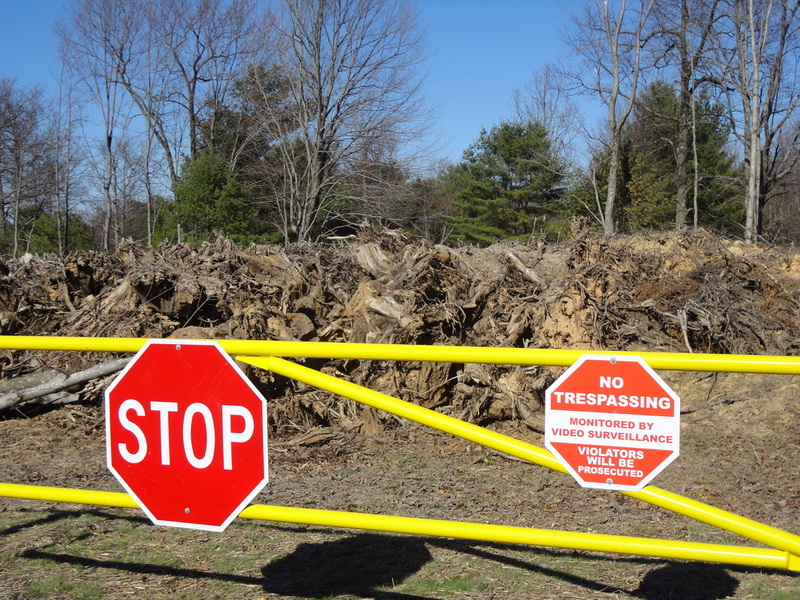 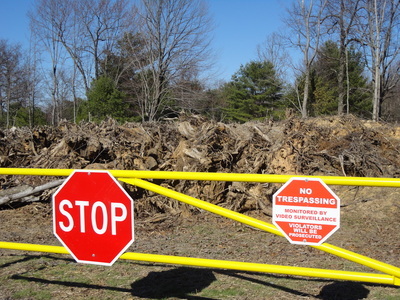 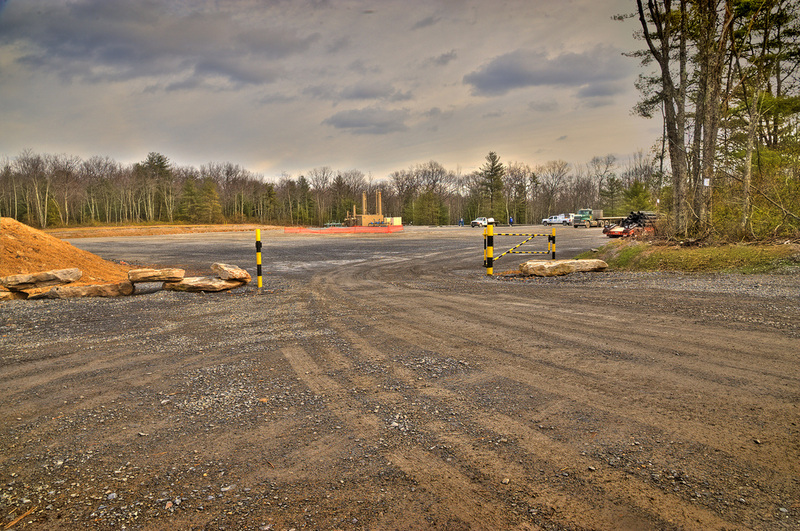 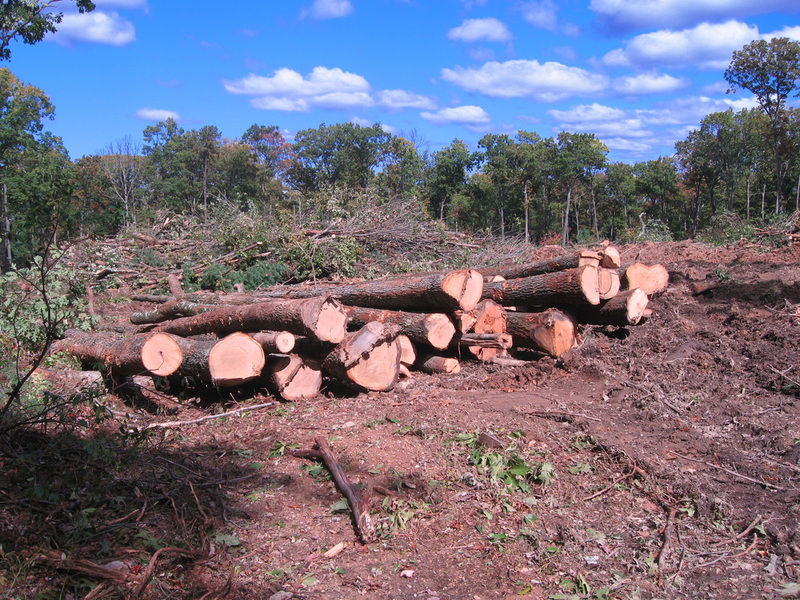 Changes to the "Environmentally Sensitive Area" from 2010 to 2014 are among the photos below. Among the most noticeable changes in the forest are the differences between the traditional single-lane, winding and serene forestry roads, and the ones that are new or that have been widened 700-800% or more to accommodate industry traffic and infrastructure. 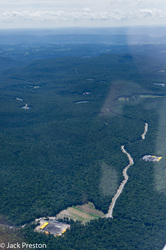 Gone is the overhead canopy that was so critical to the integrity of the contiguous forest. 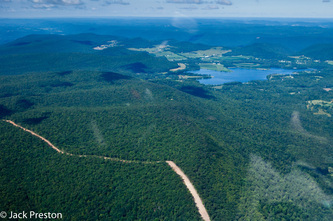 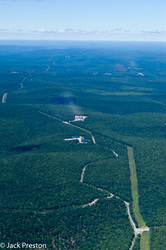 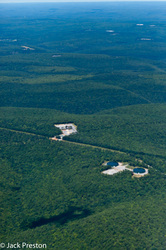 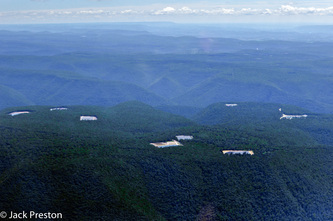 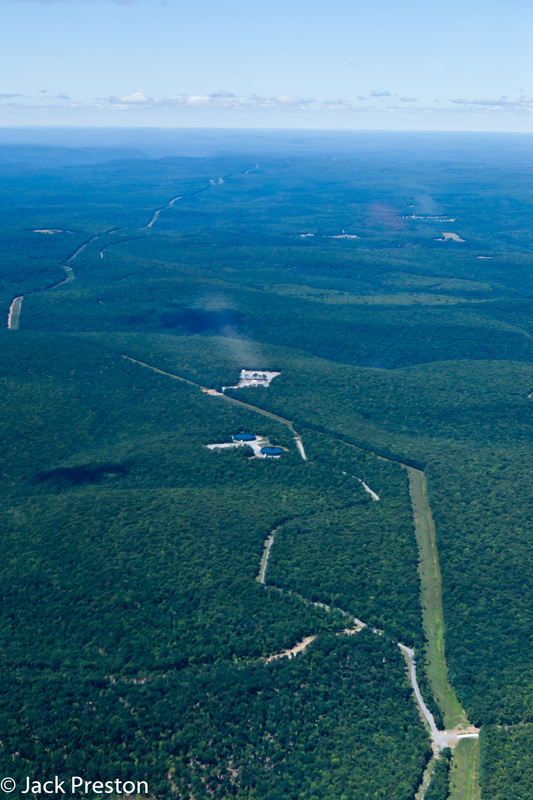 From the air, the increasing well pads, water impoundments (fresh and brine), compressor stations, miscellaneous tanks and other infrastructure, and webwork of expanded and new pipelines and roads look like a configuration of enormous tinker toys that has been laid down upon the forest, with the triangles and odd-shaped pieces in between looking more like woodlots in what were once vast and unbroken wilds. Adding to this are the areas that are now closed to the public in what is by right the public's land. 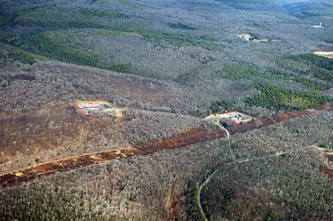 All of these tragedies and more are shown in the photographs below. 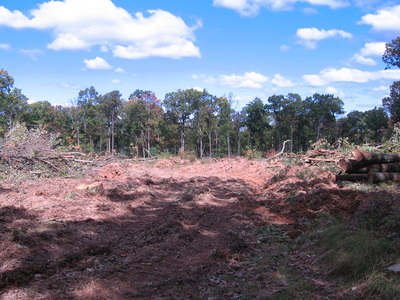 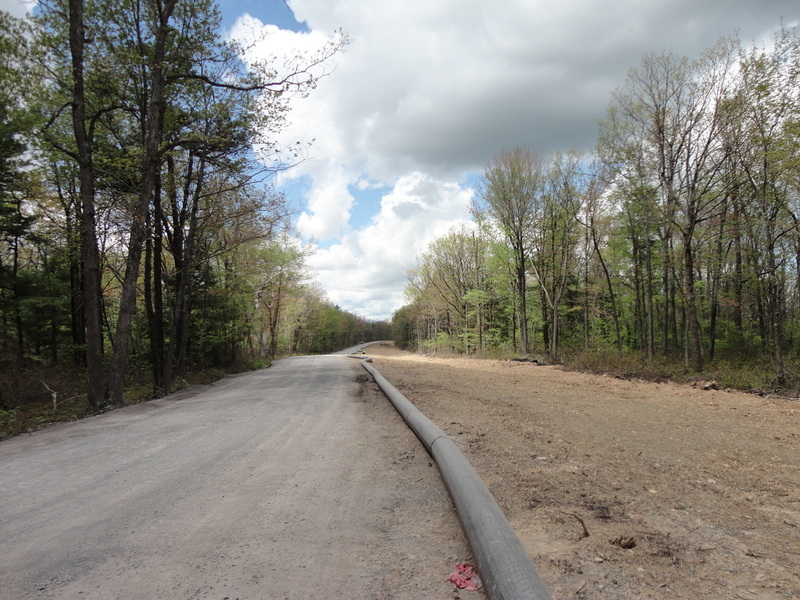 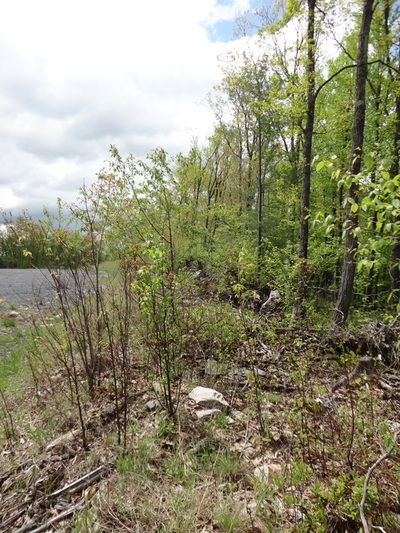 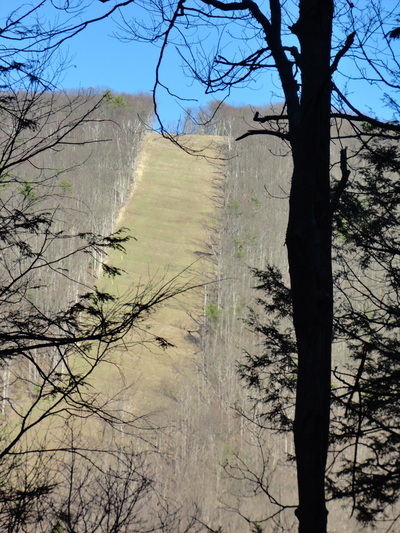 Please keep in mind that these few selected images portray a mere fraction of the changes in the Tiadaghton State Forest alone. 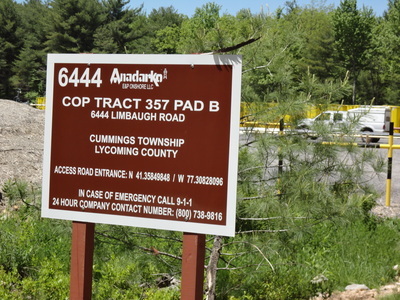 On the pad signs, COP stands for Commonwealth of Pennsylvania. Within the numbered tracts, pads are lettered, beginning with A. 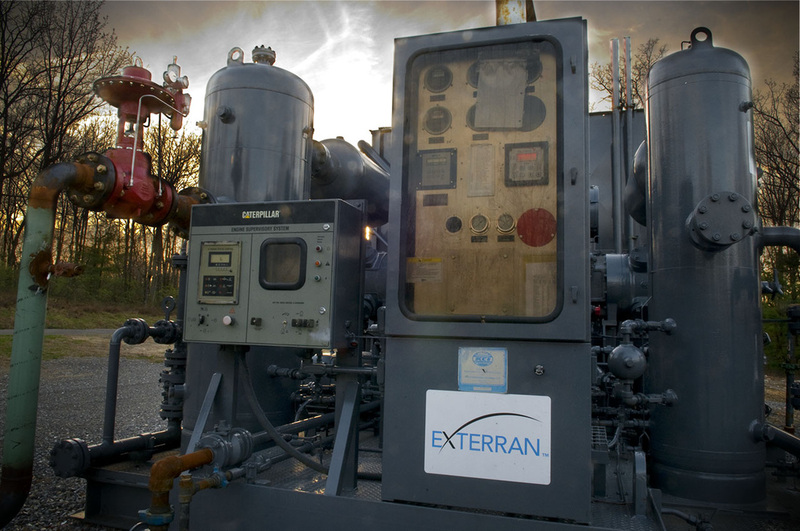 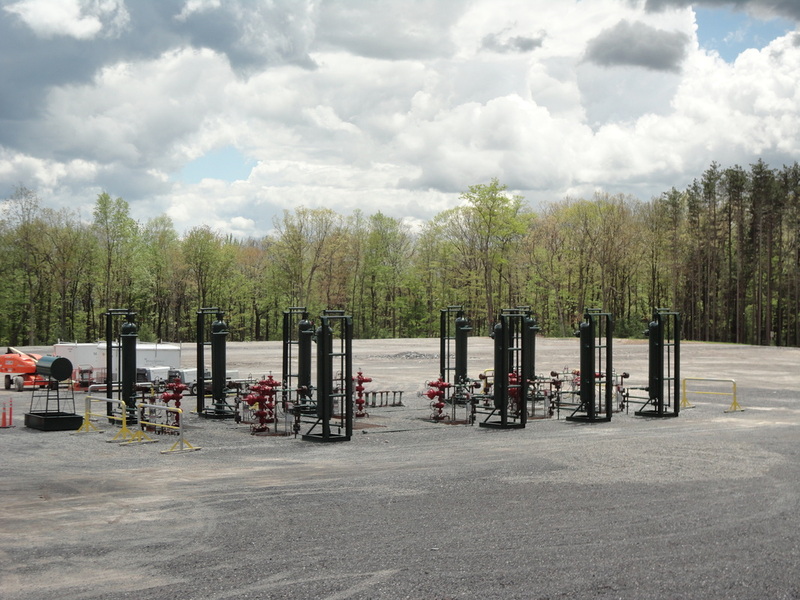 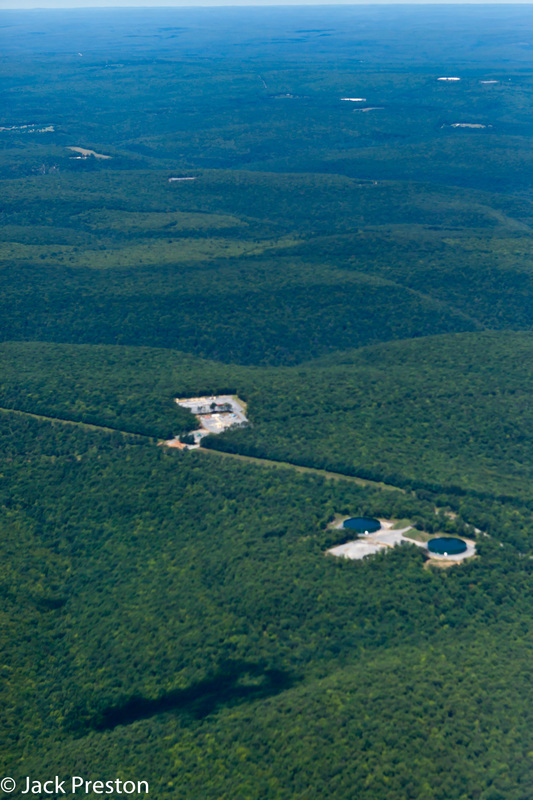 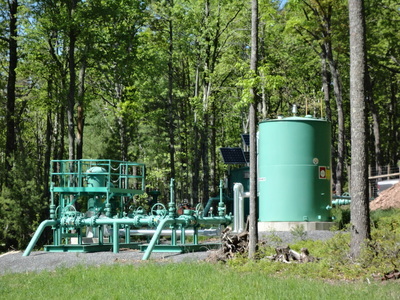 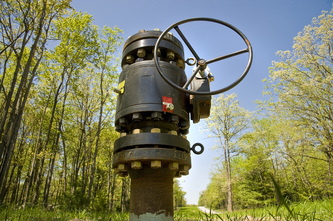 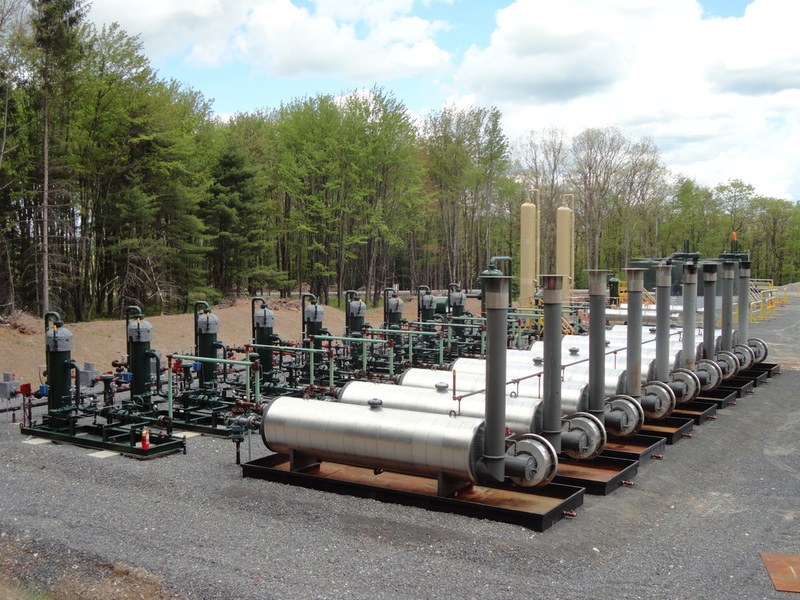 In any given State Forest, multiple gas companies can have multiple tracts, multiple pads within each tract, and multiple wells on each pad. 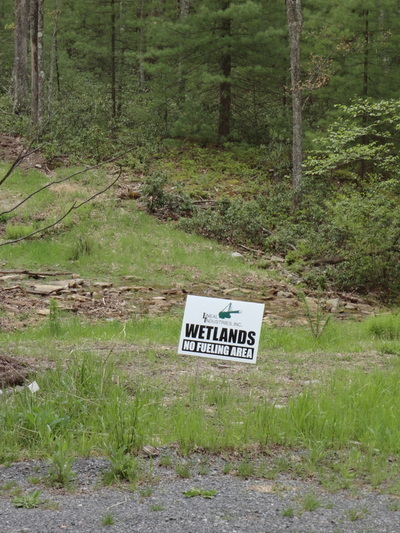 and where this has taken place, the wilds no longer exist. 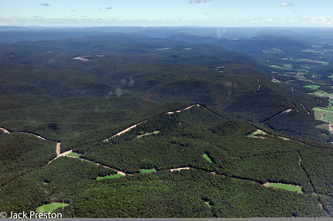 This map is an image from the Department of Environmental Protection's (DEP) website, edited with a red oval to show the general area of the Tiadaghton State Forest shown in the testimonial photographs. 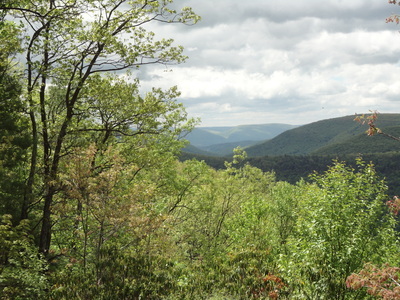 Per the ﻿website ﻿tools, the large green area is State Forest Land, the tan area is State Game Land, and the black cross-hatch is Little Pine State Park. 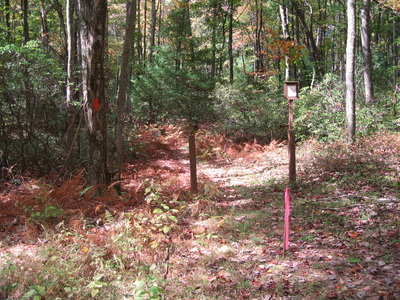 Turquoise squares portray well pads, and the orange diamonds are access roads. 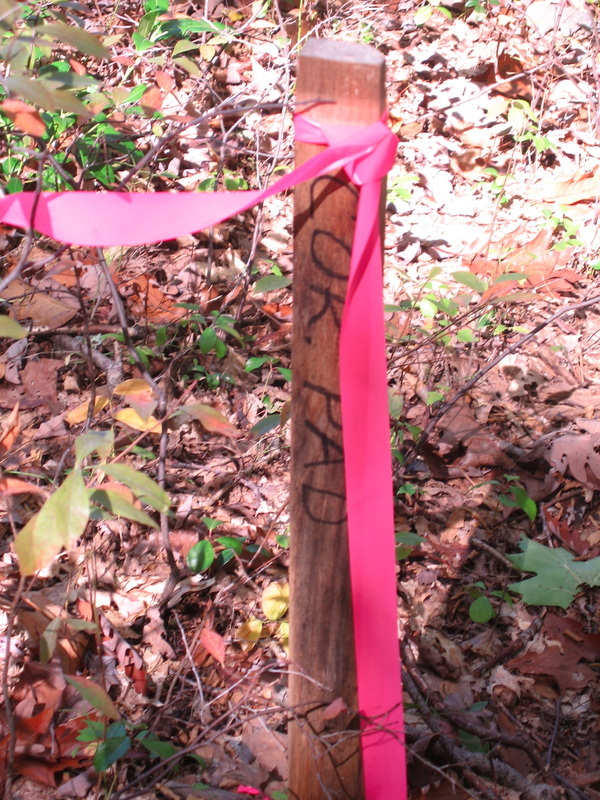 The pink and blue squiggles show Chapter 93 Exceptional Value and High Quality Streams. 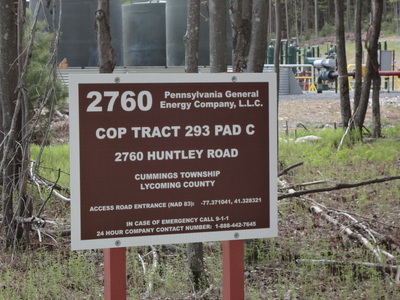 To access DEP's website for this map, please click here. 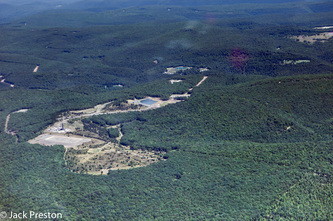 Here is a map of the same general area (edited with a red oval) from the FracTracker Alliance. 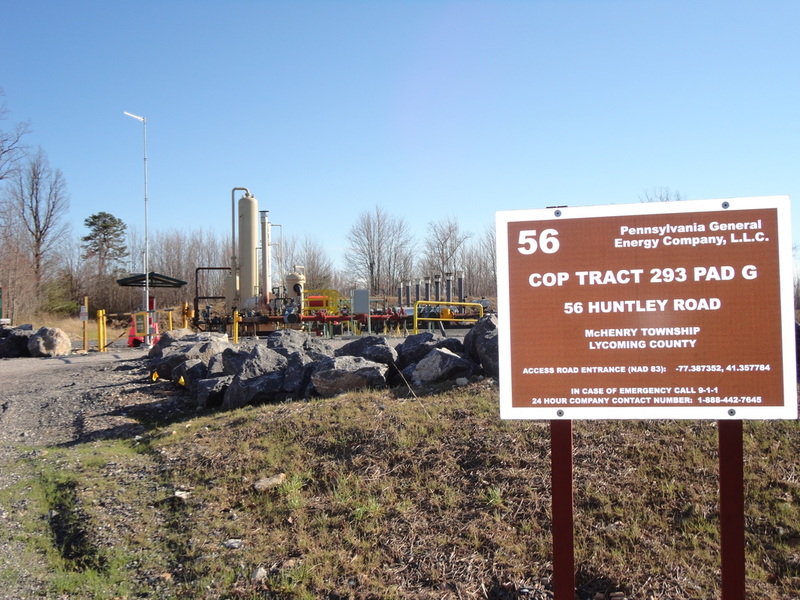 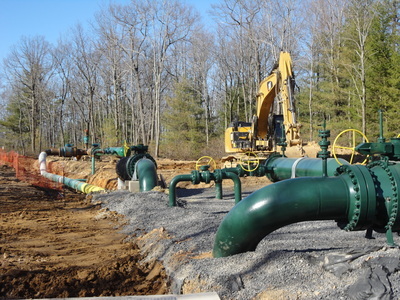 It shows Violations, Drilled Wells, Permits, Pits, and Compressor Stations. 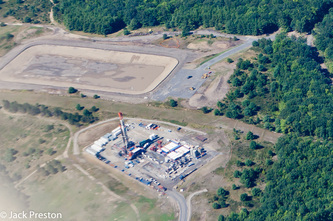 To access this map in a larger format on the FracTracker Alliance's website, please click here. For FracTracker's Home Page, please click here. 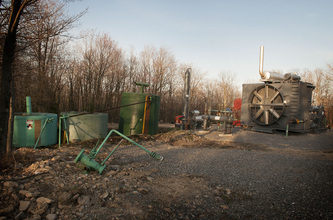 The Industry Has Only Begun. Some changes to the Forest can never be remediated. 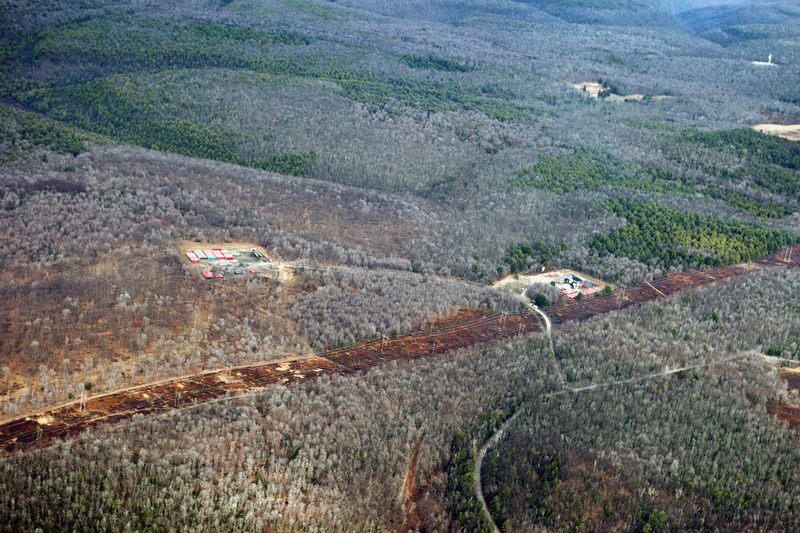 and assure the funds will be there in the future to mitigate what we have lost.